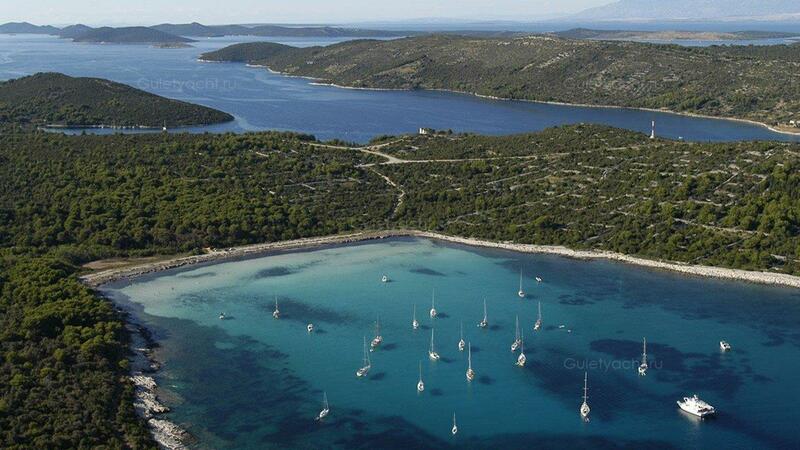 Heading north from Ravni Zakan, towards the Kornati Islands National Park, there is the island of Katina where there are berths and yachting facilities. 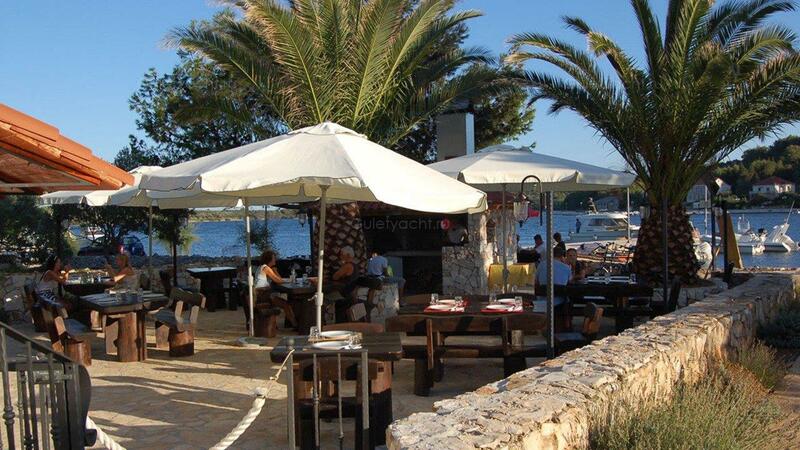 The local restaurant, Mare, is among the oldest in the whole archipelago. 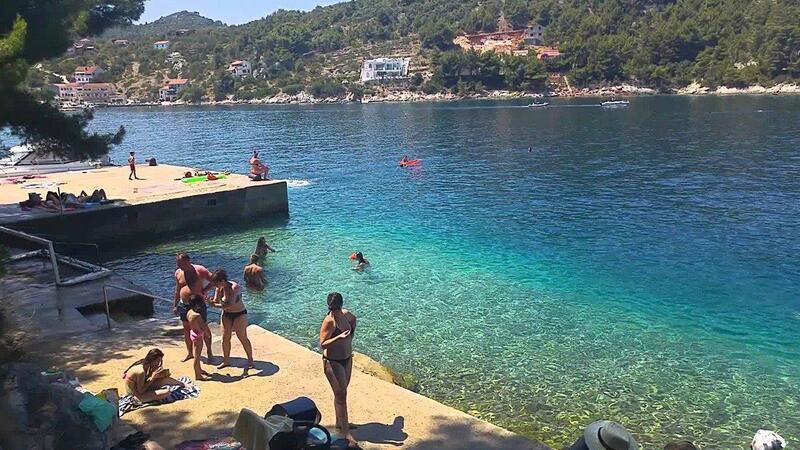 Telascica Park has buoys for which you need to buy a ticket. 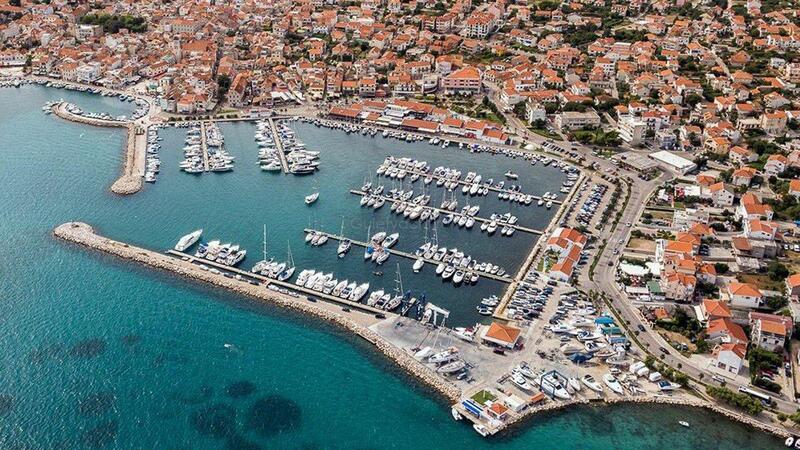 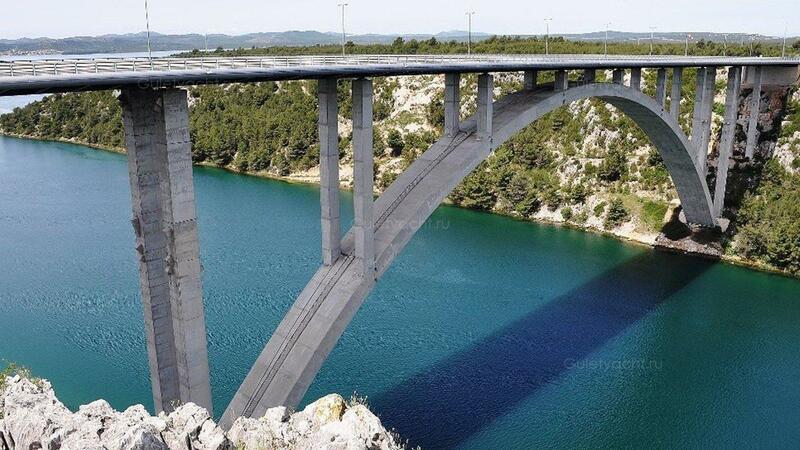 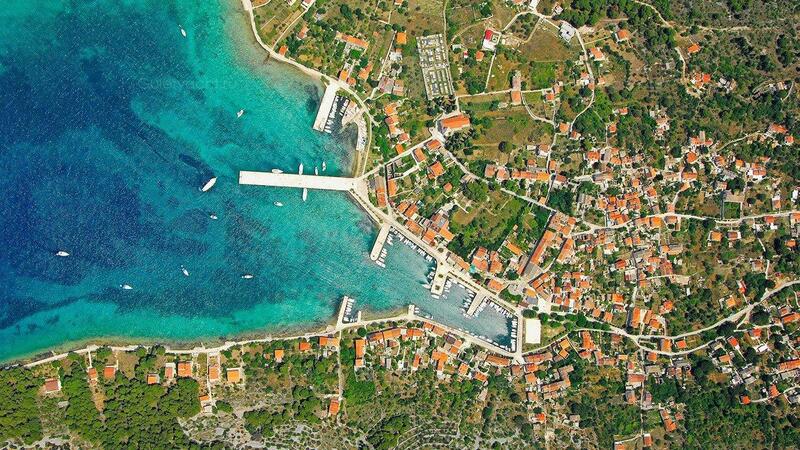 Further along you will reach the Island of Dugi Otok with its well-equipped marina at Sali where you can restock on provisions. 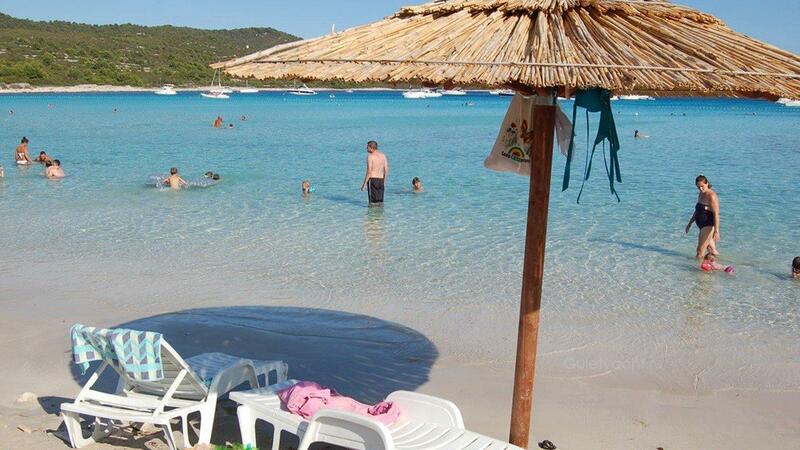 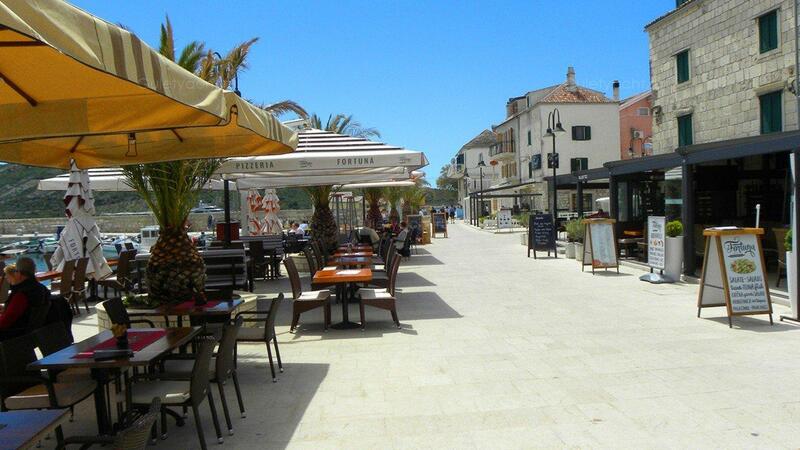 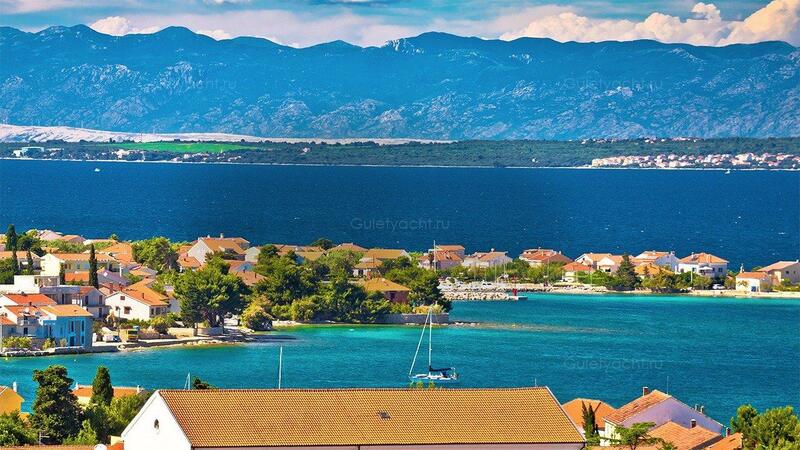 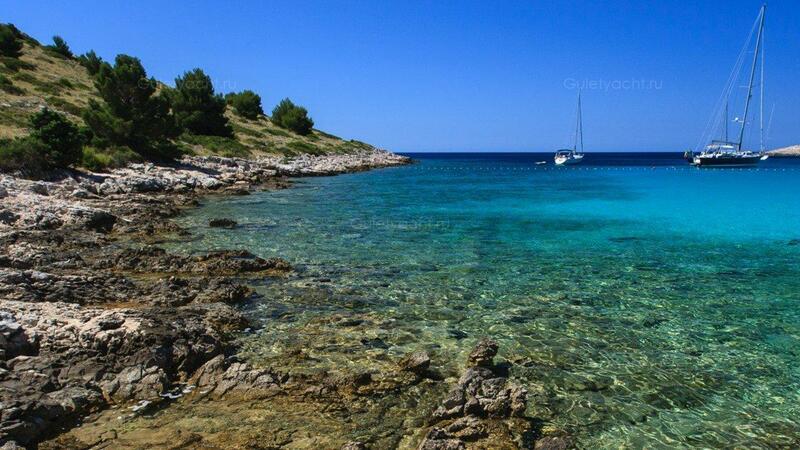 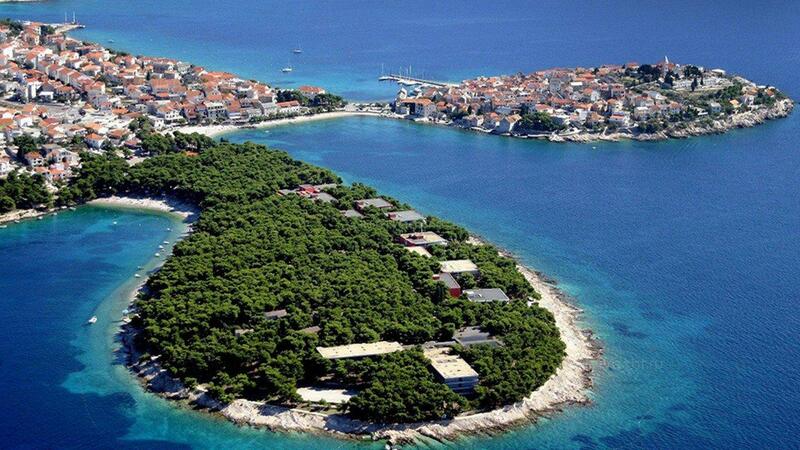 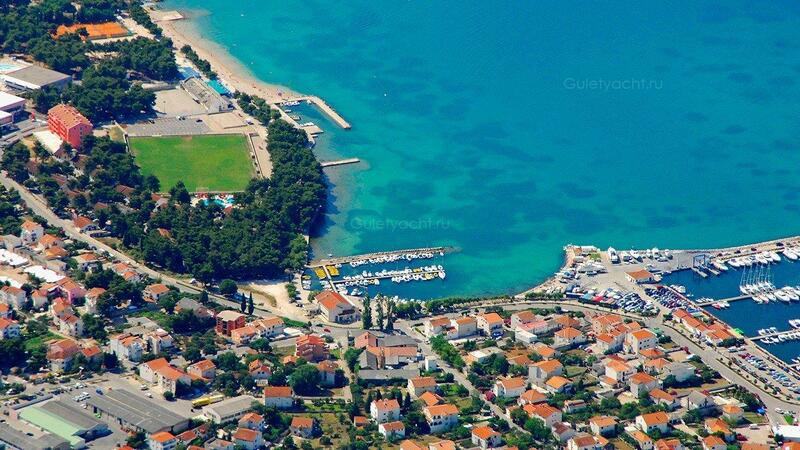 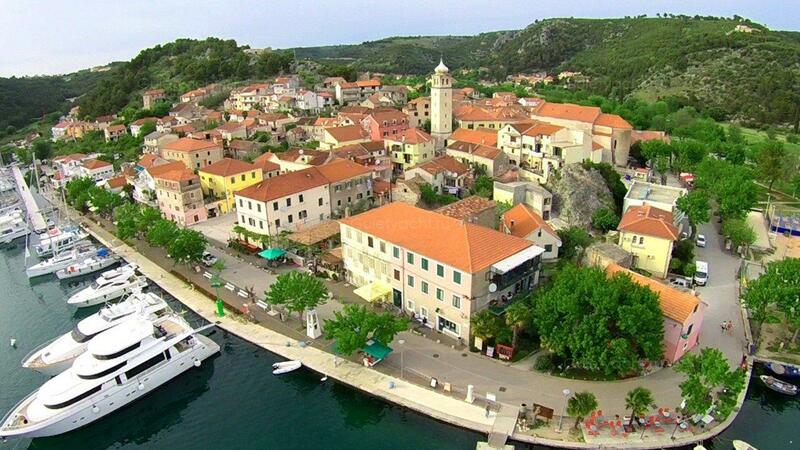 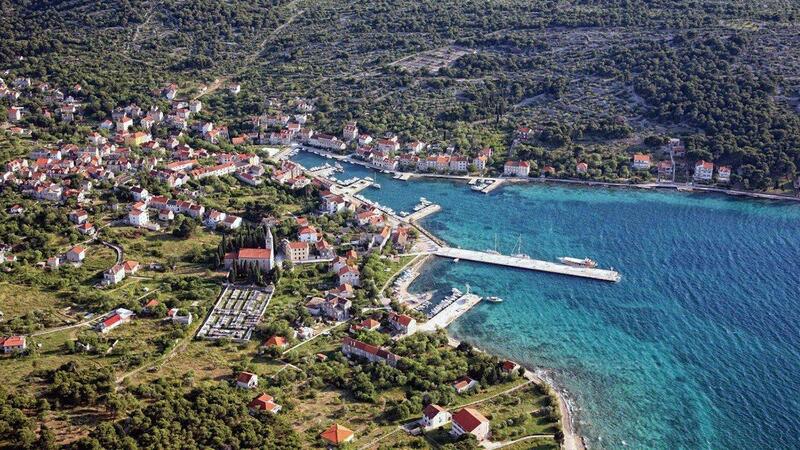 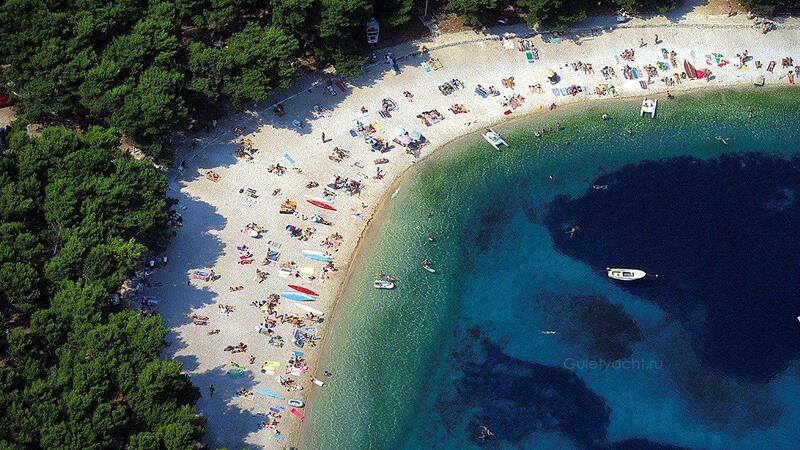 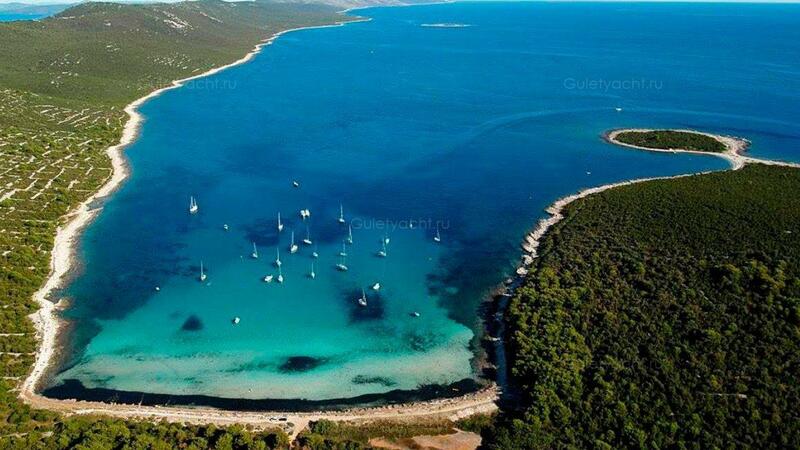 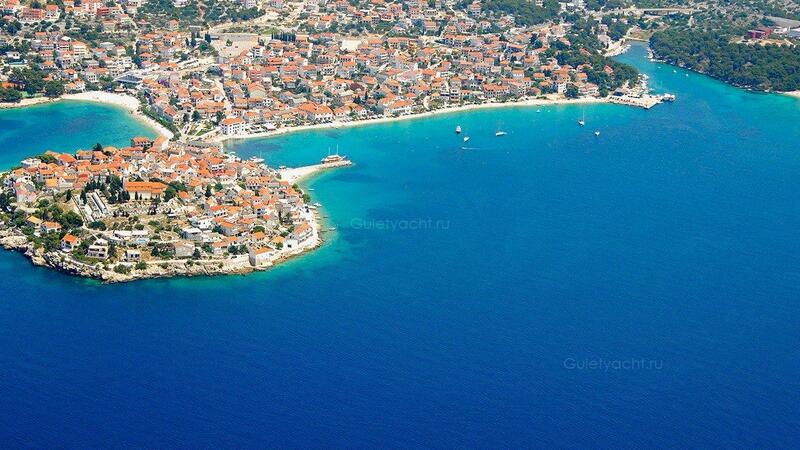 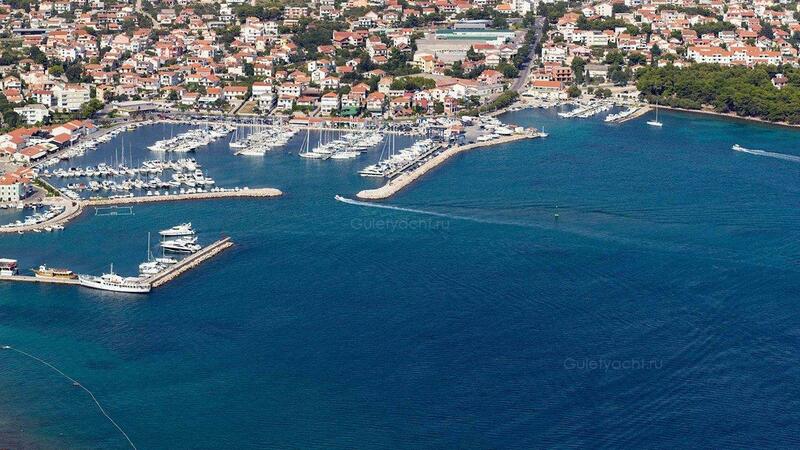 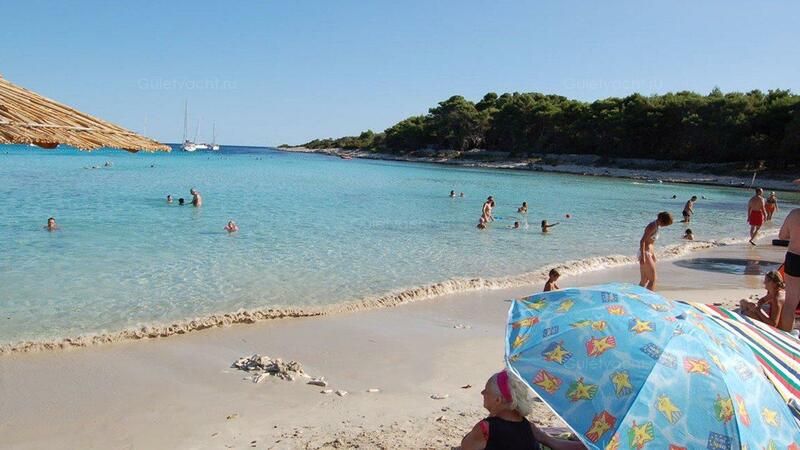 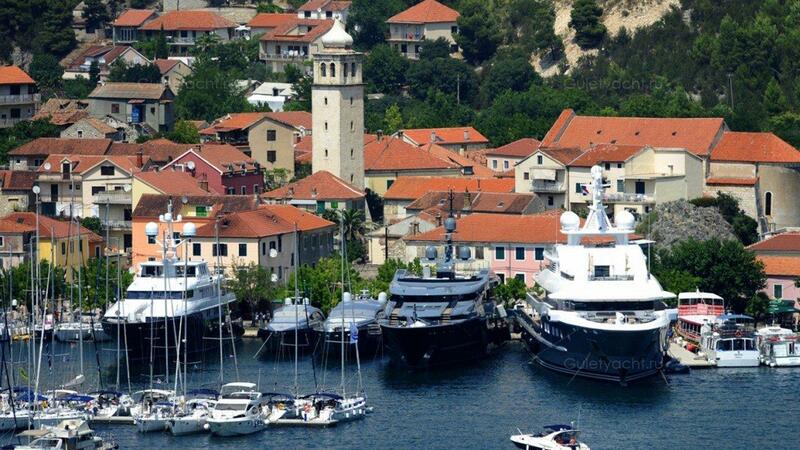 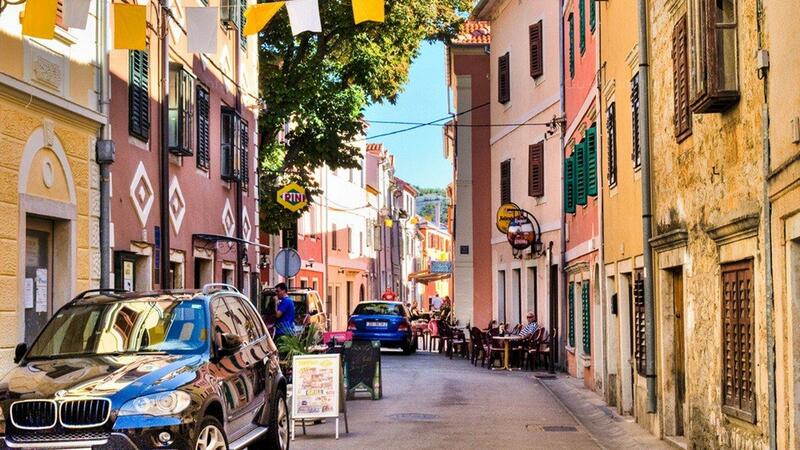 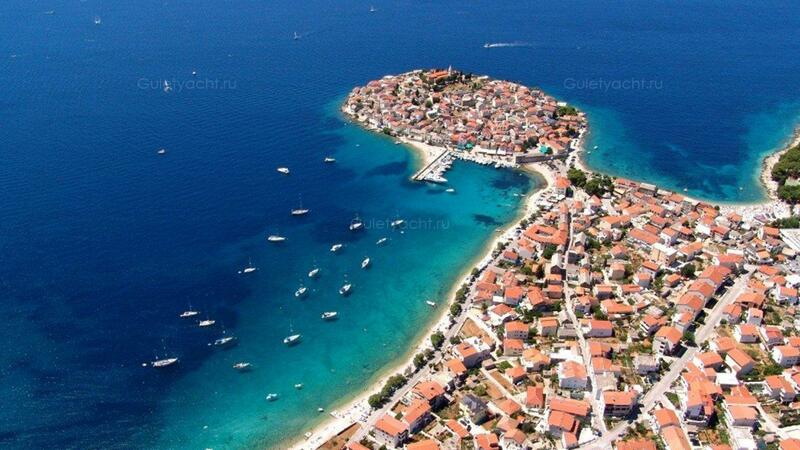 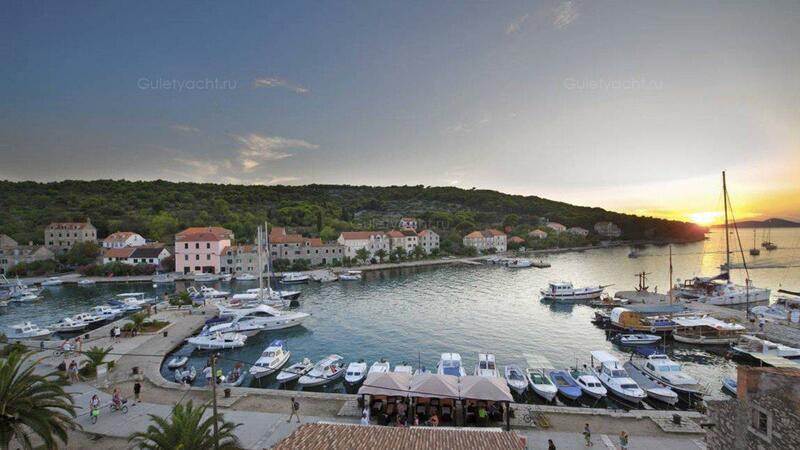 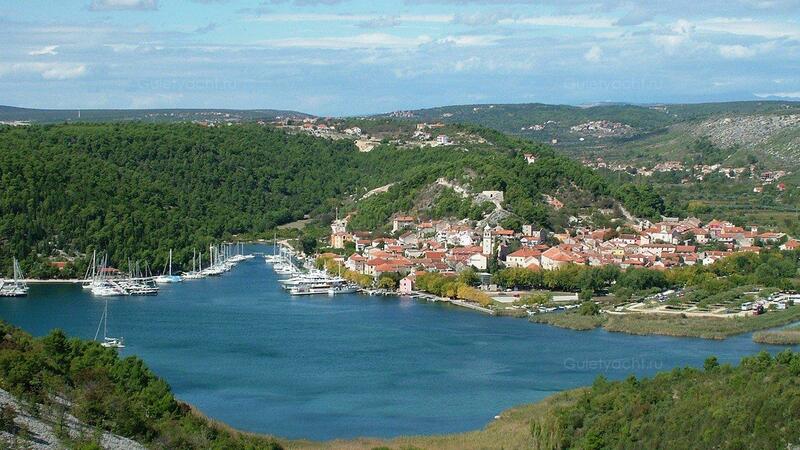 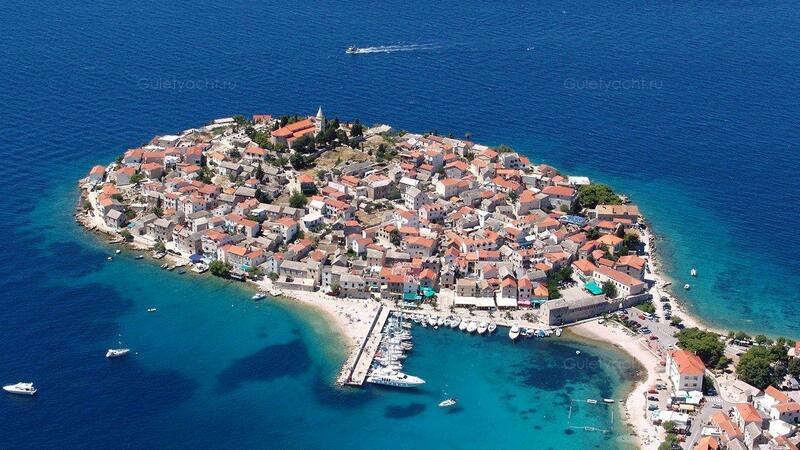 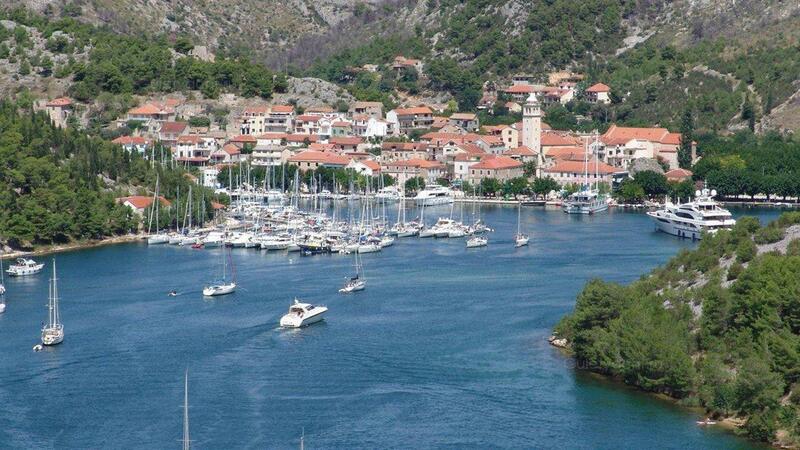 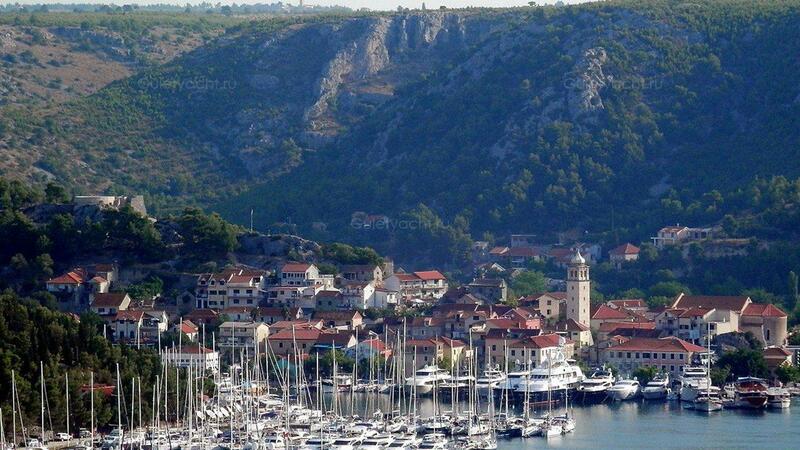 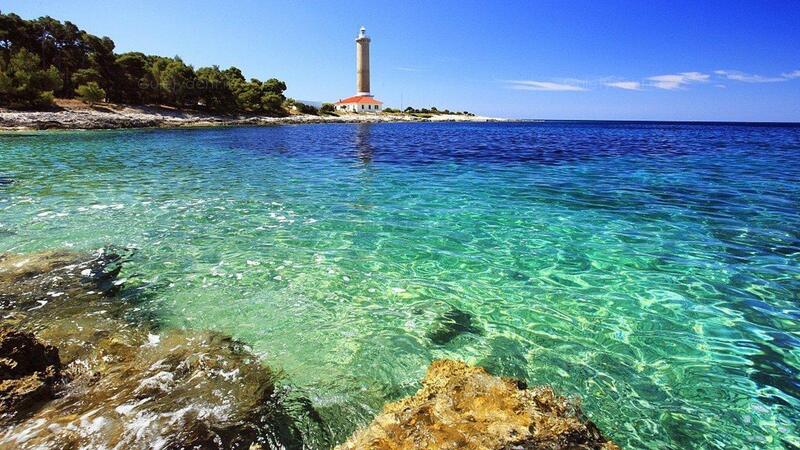 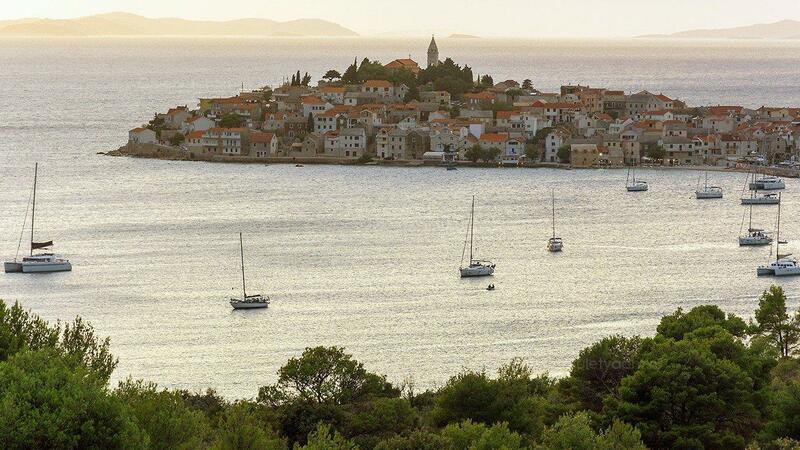 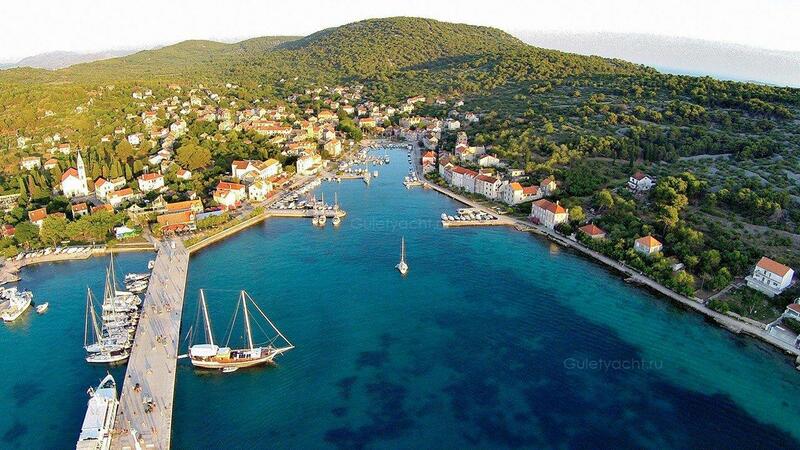 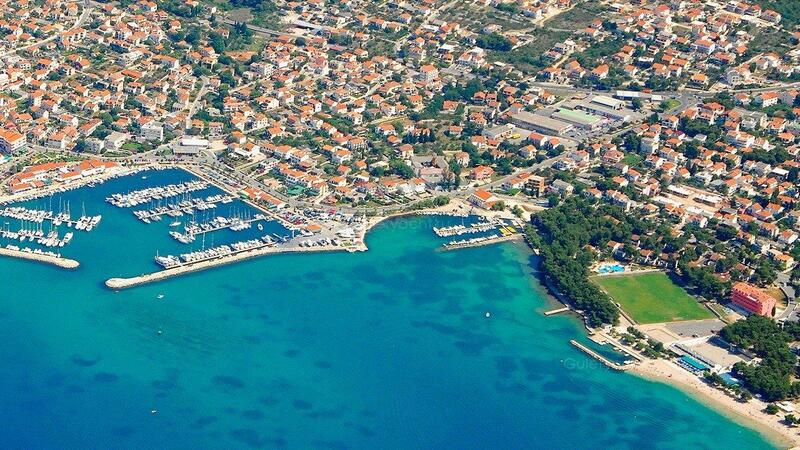 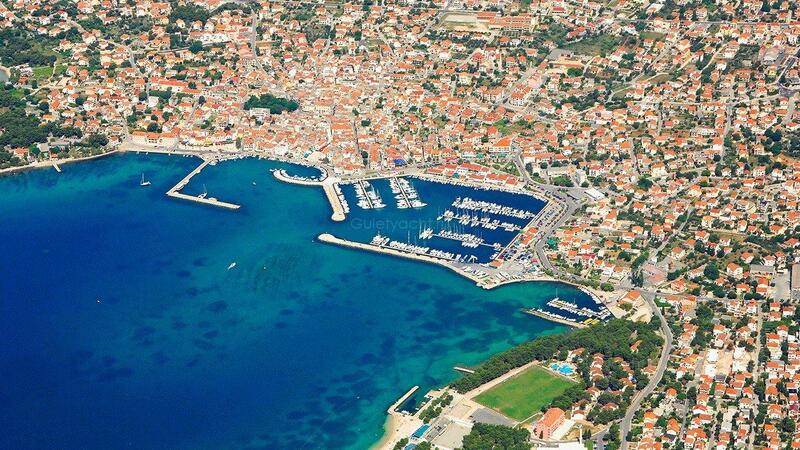 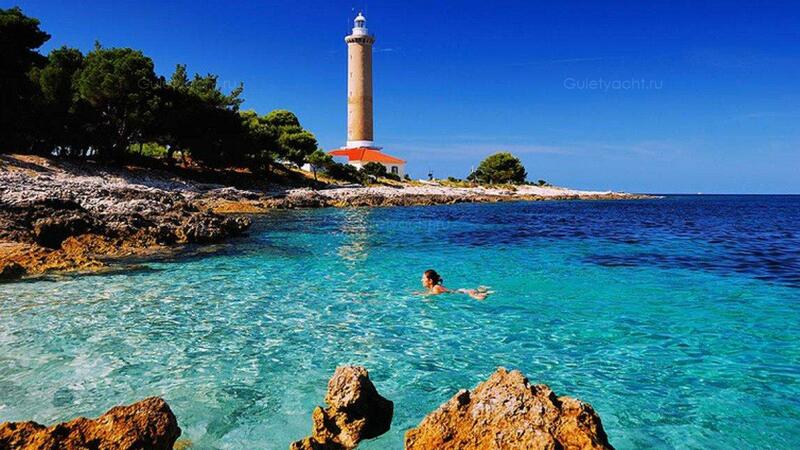 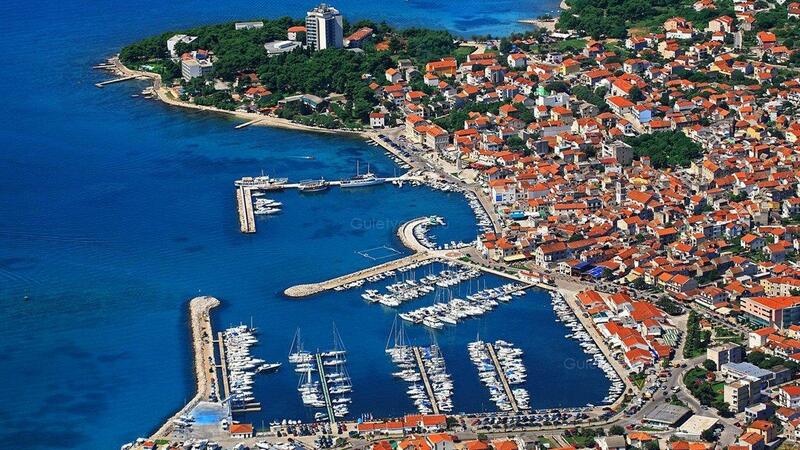 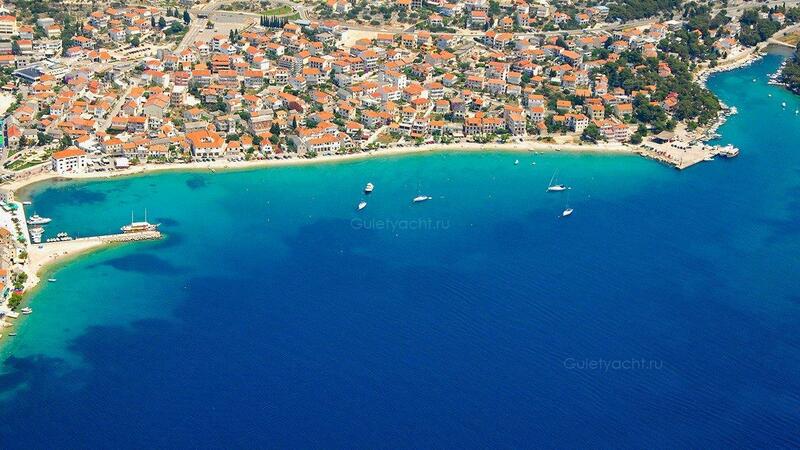 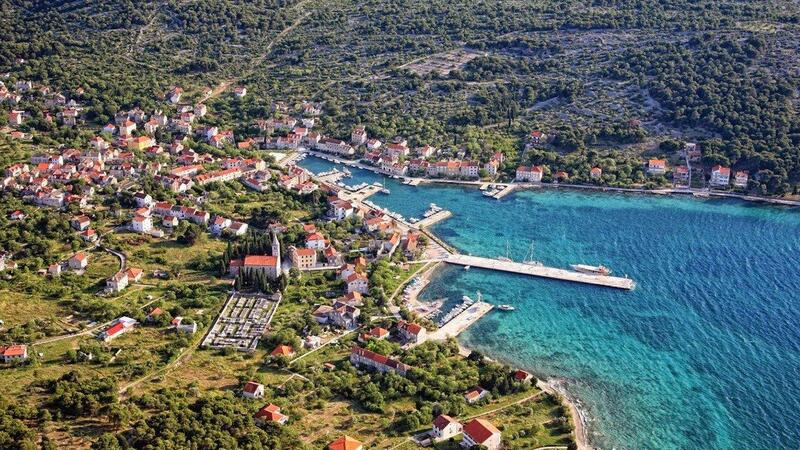 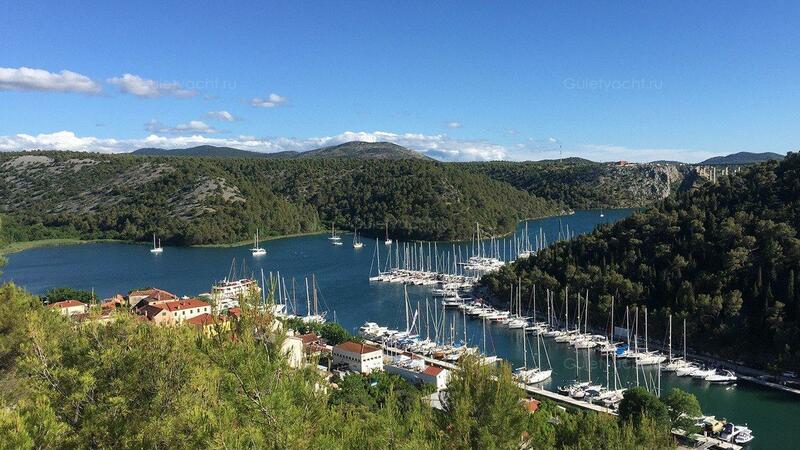 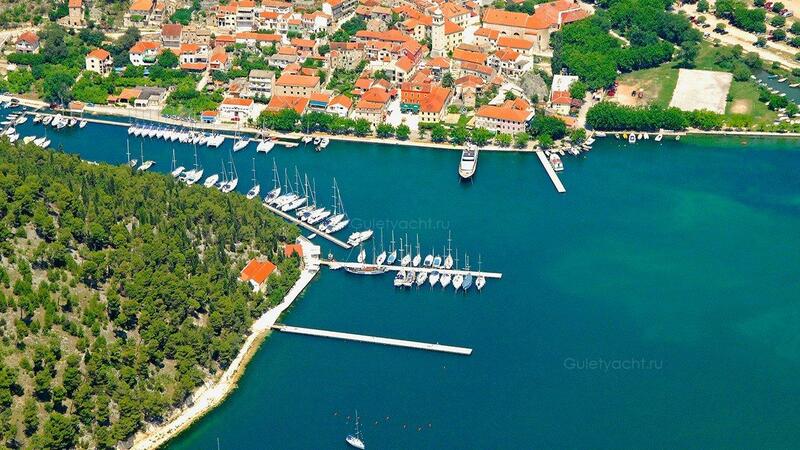 Sali, the largest town on Dugi Otok, has a population of 1000. 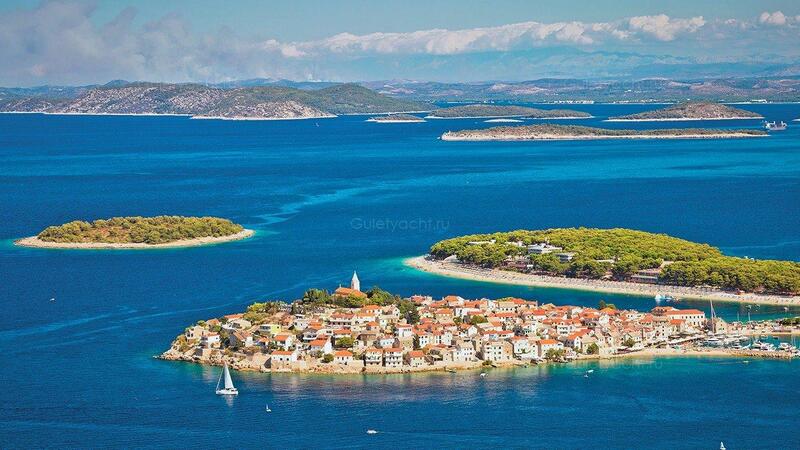 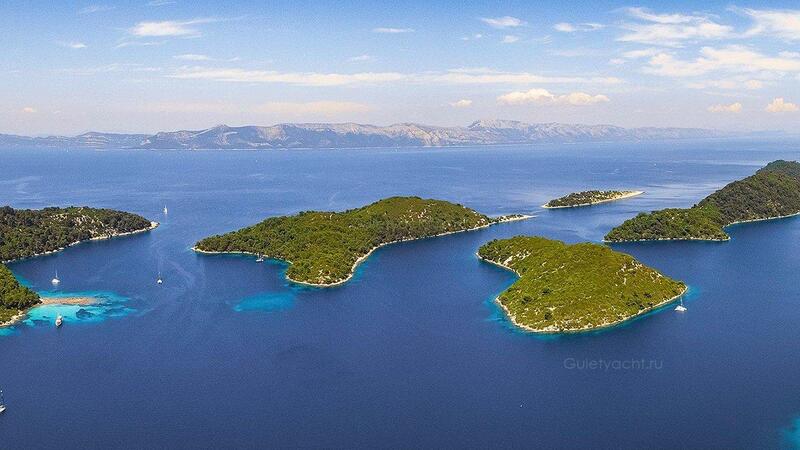 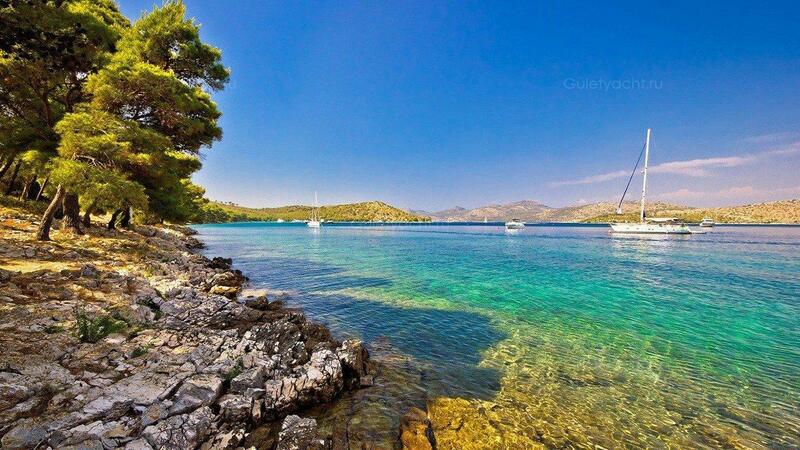 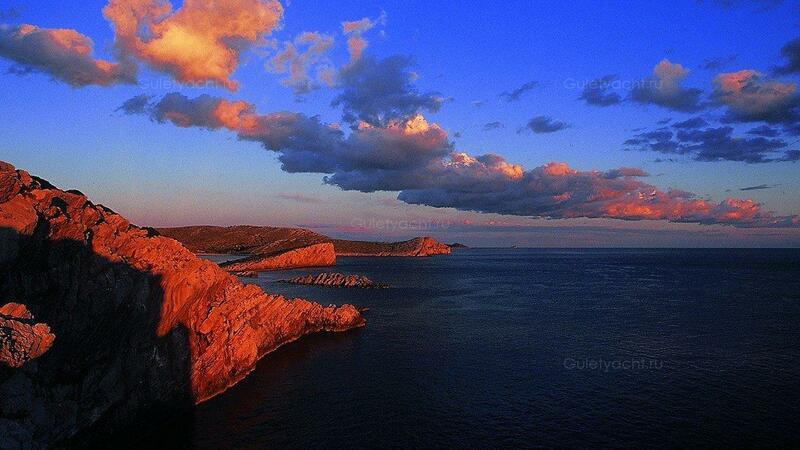 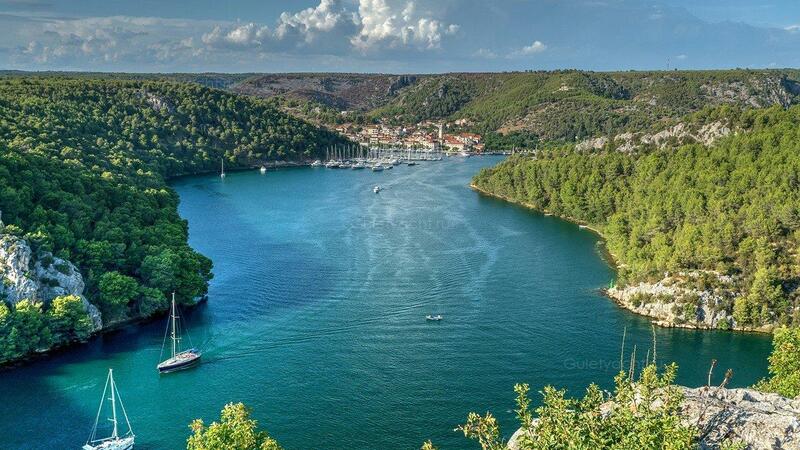 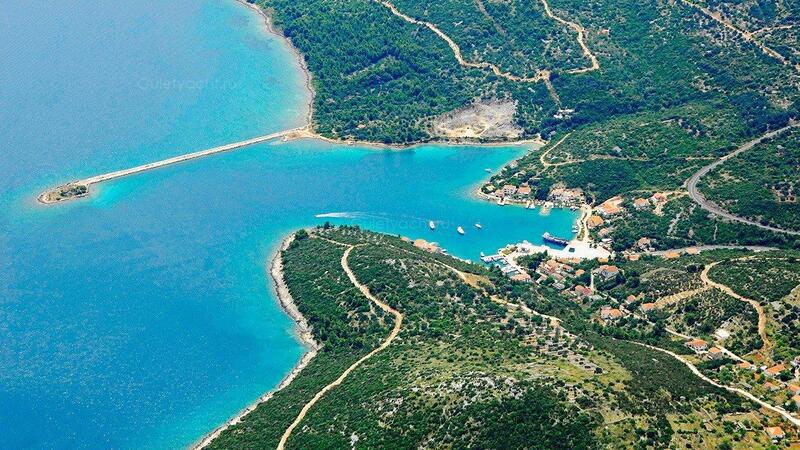 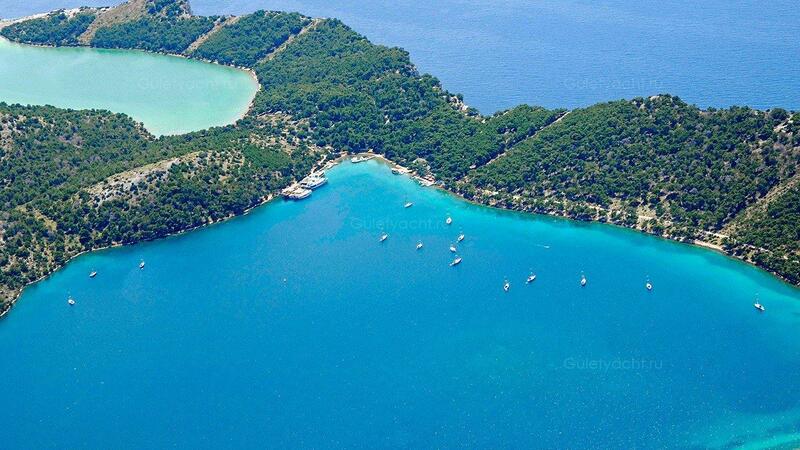 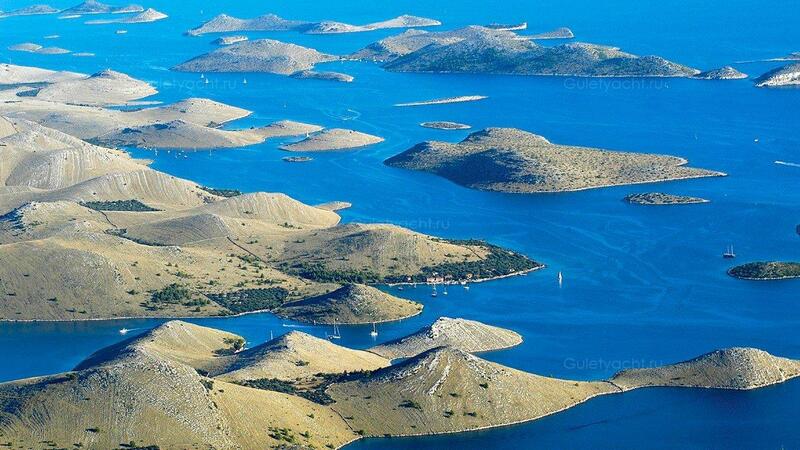 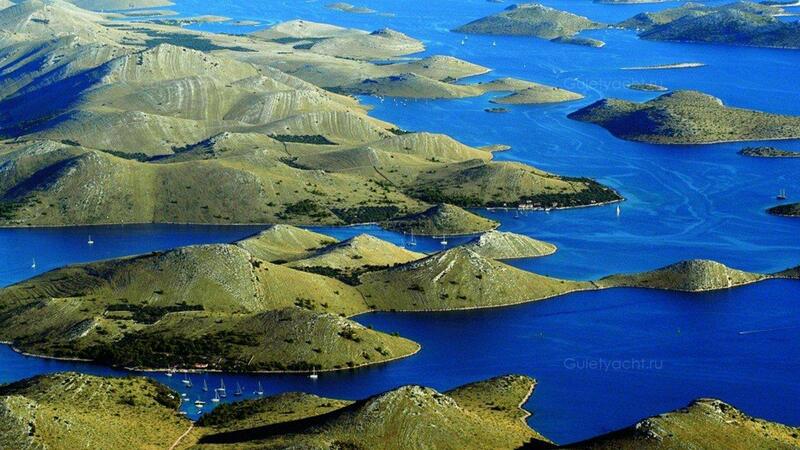 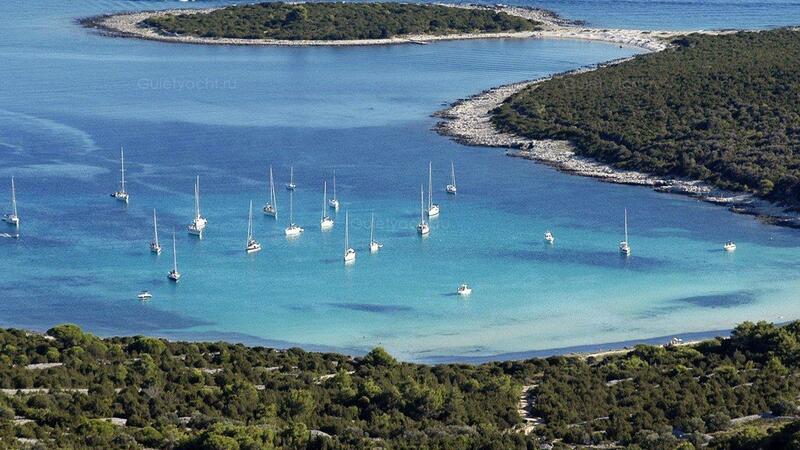 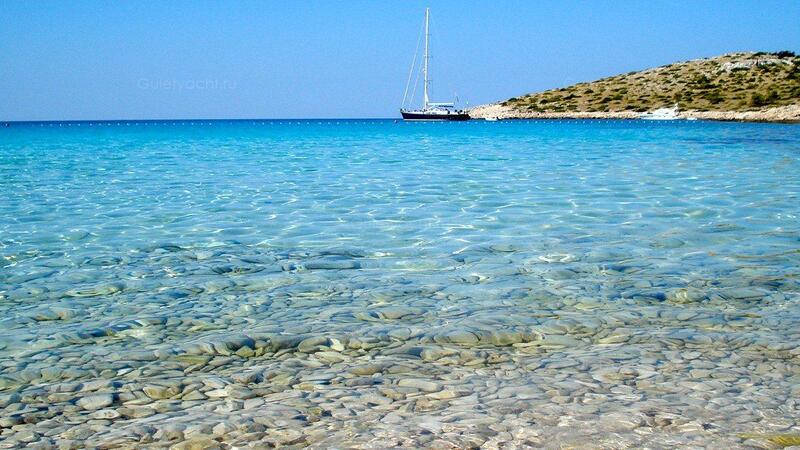 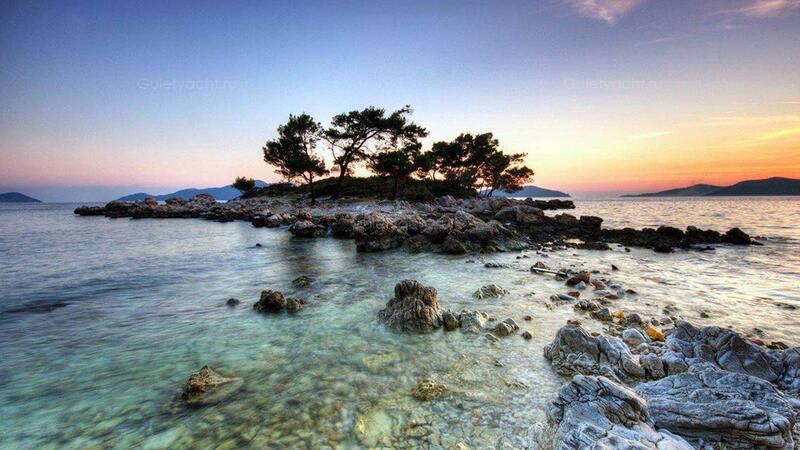 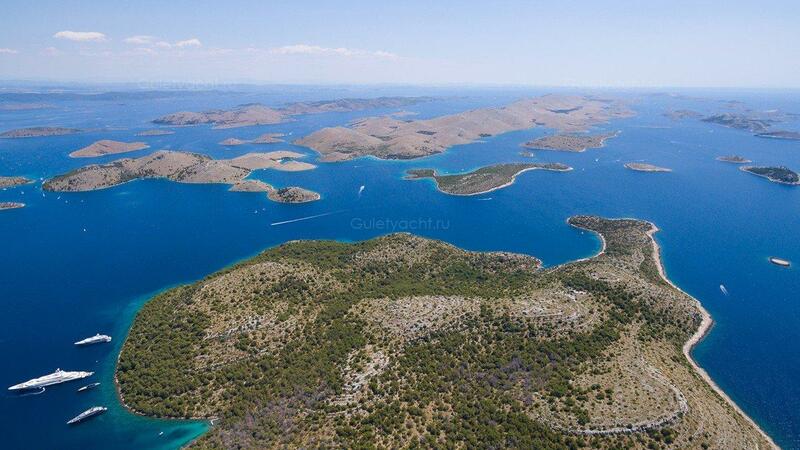 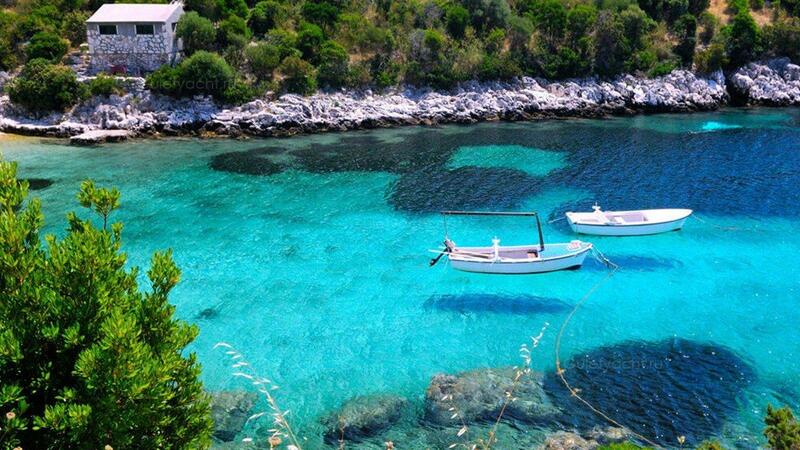 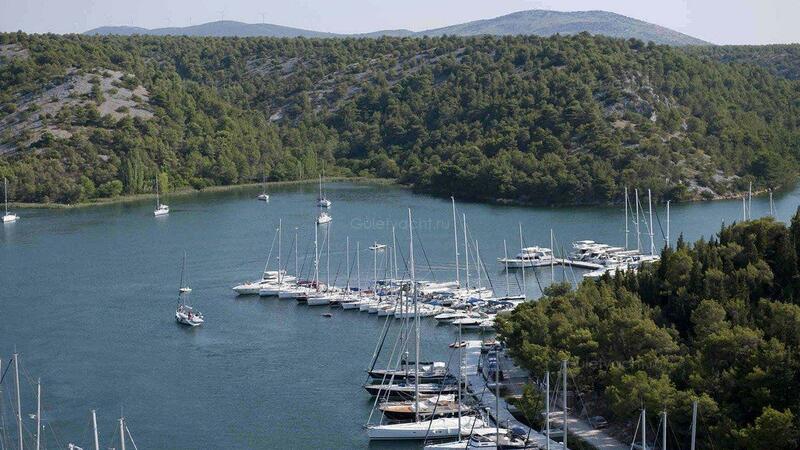 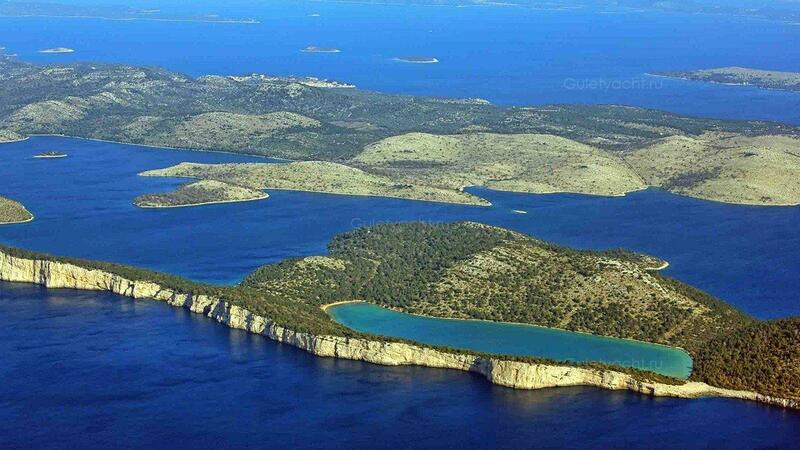 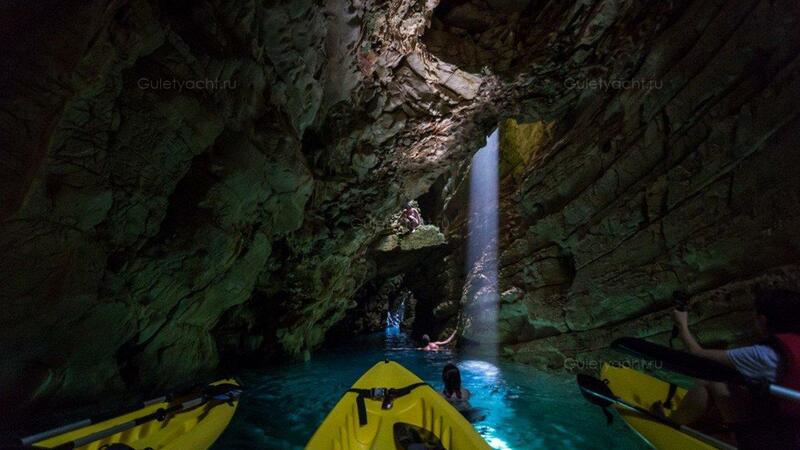 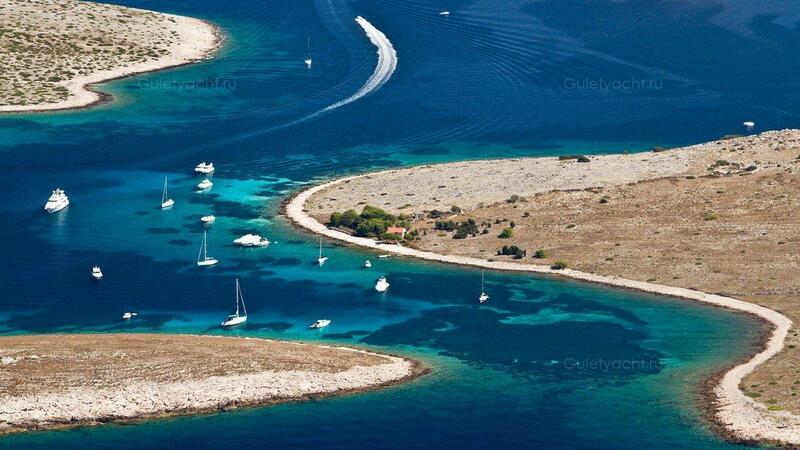 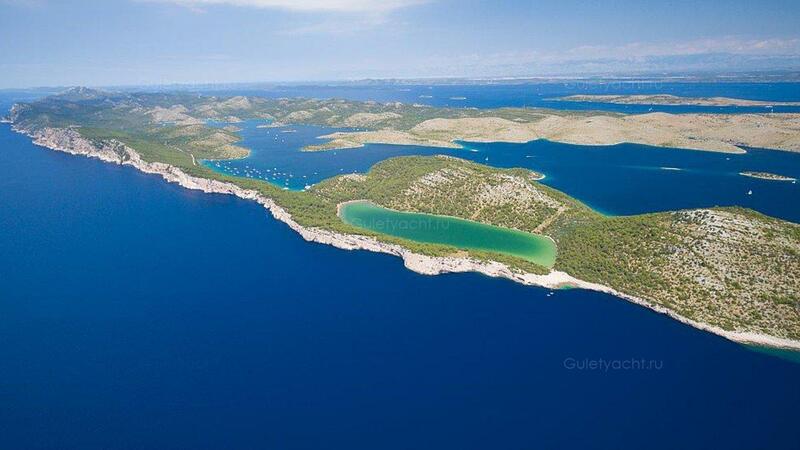 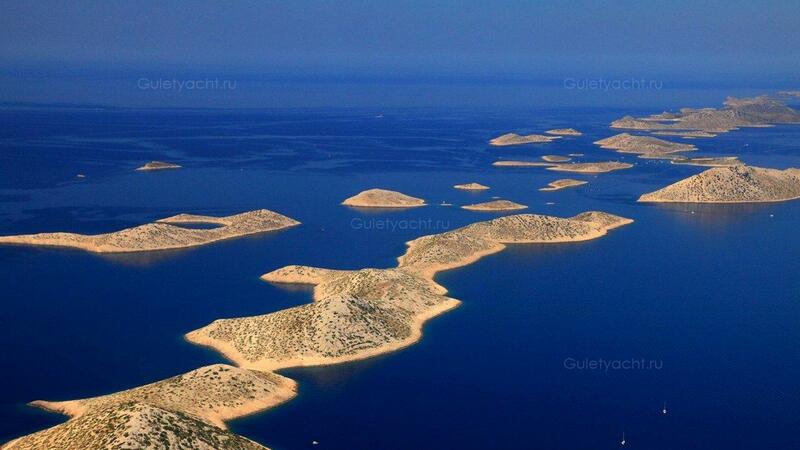 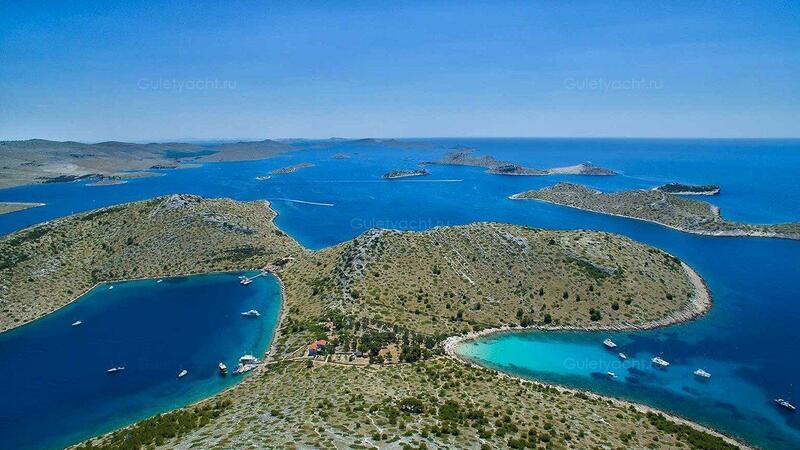 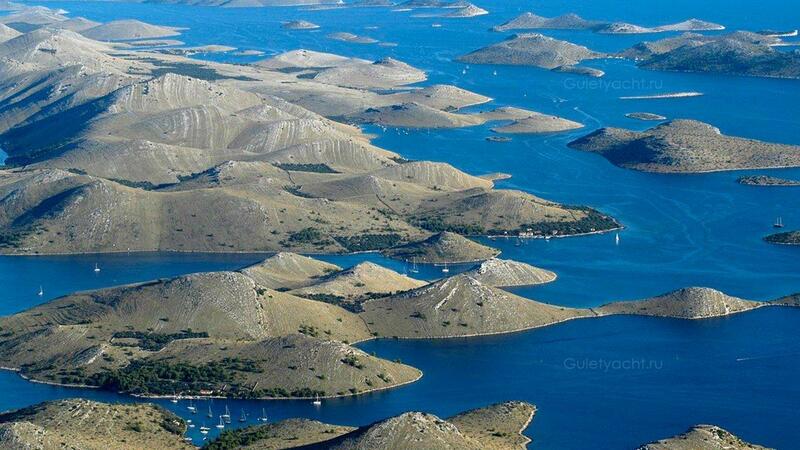 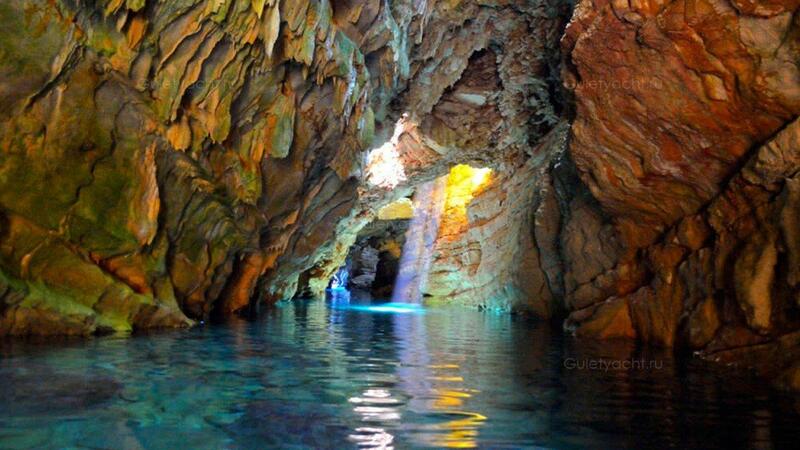 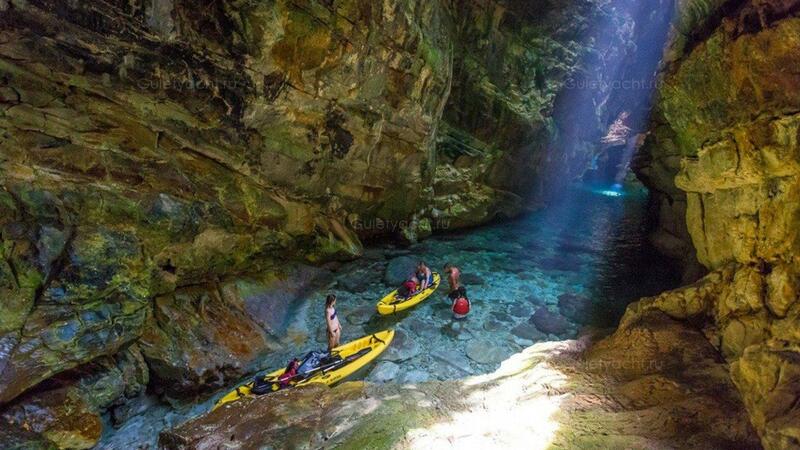 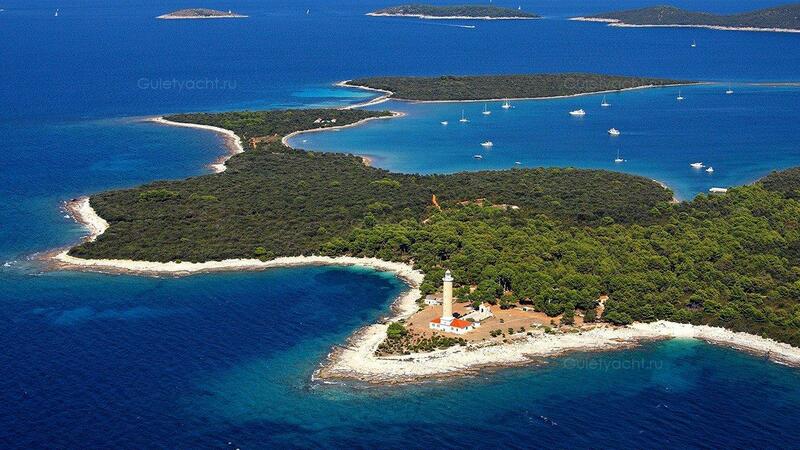 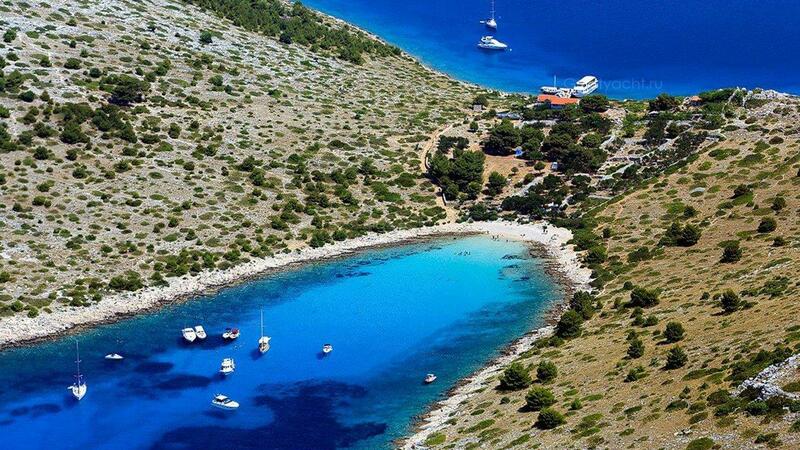 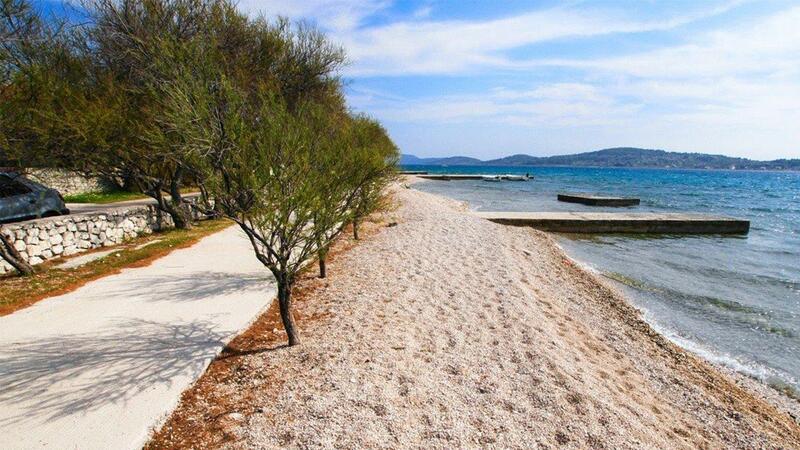 It is the nearest town to the National Park of Kornati. 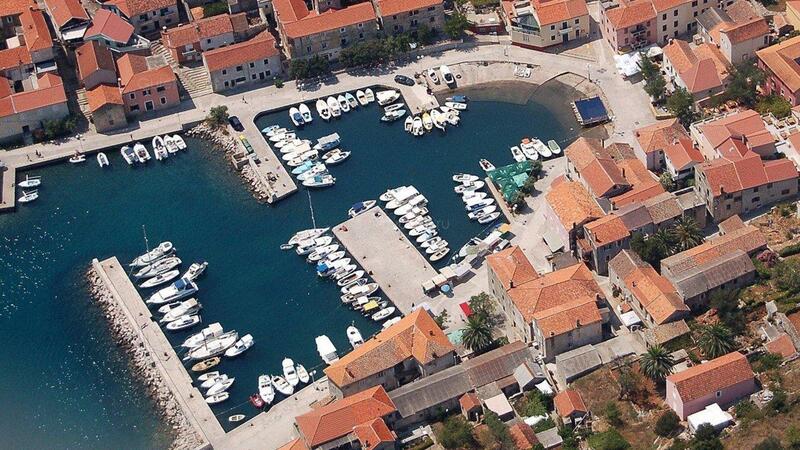 Houses surround the small harbour which has been operational since the 17th Century. 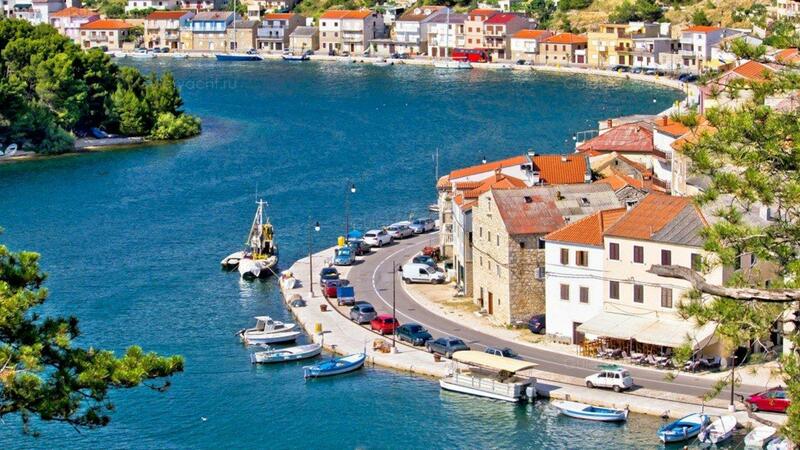 A fish processing factory in the South is evidence of the importance of fishing to the local economy. 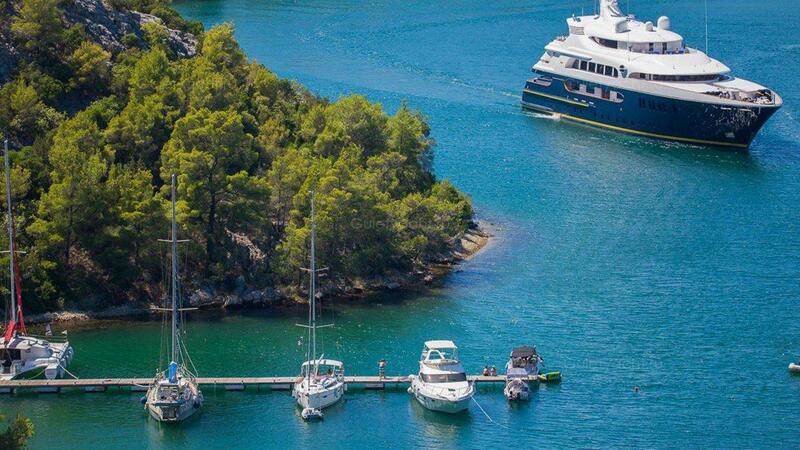 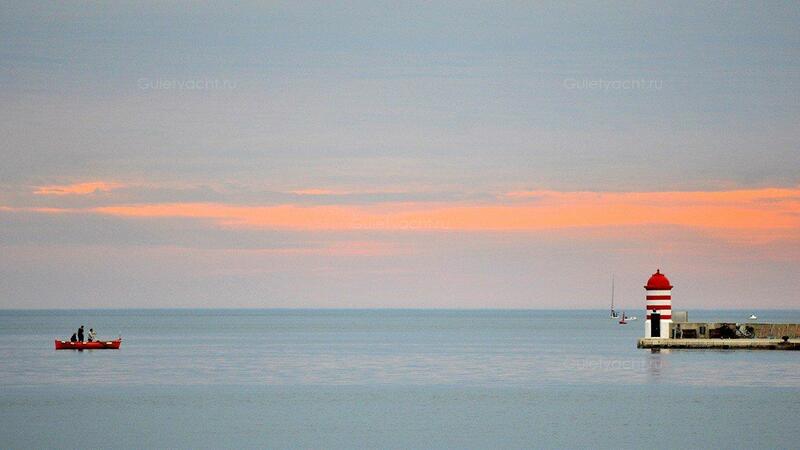 Don’t leave without sampling the day’s catch. 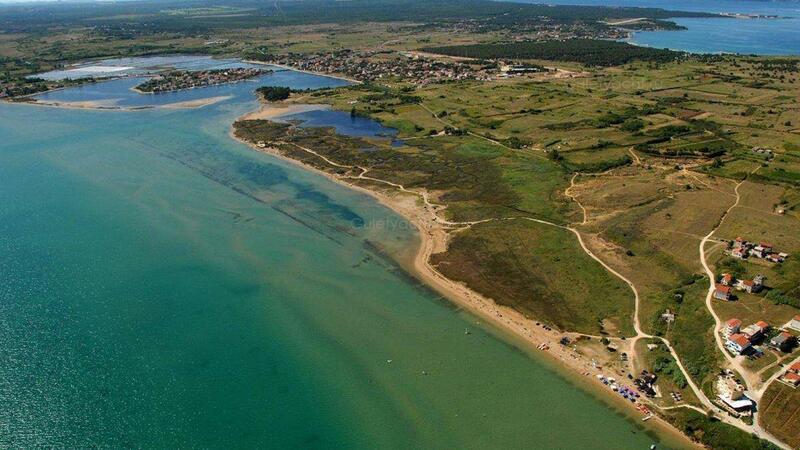 Сали, самый большой город на Дуги-Оток, насчитывает 1000 человек. 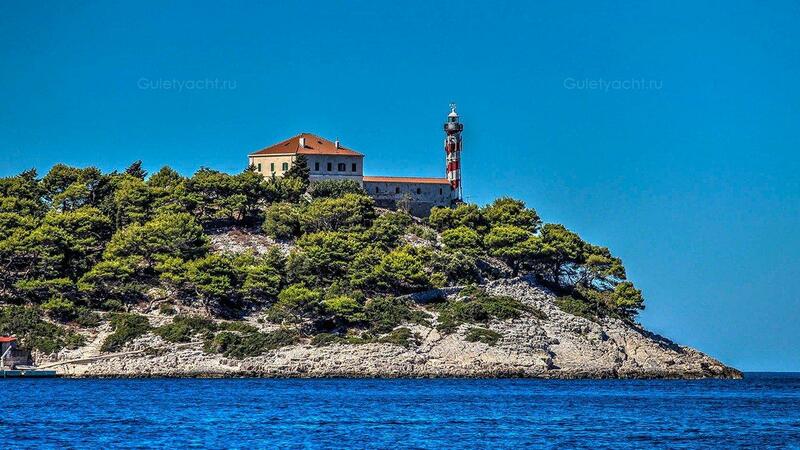 The view of the 16th Century fortress of St. Nicholas and the Šibenik Archipelago as you sail through St. Anthony’s Canal is truly memorable. 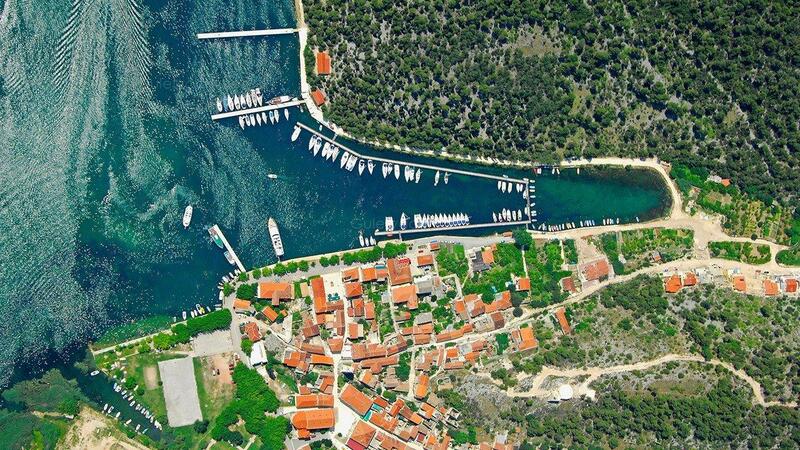 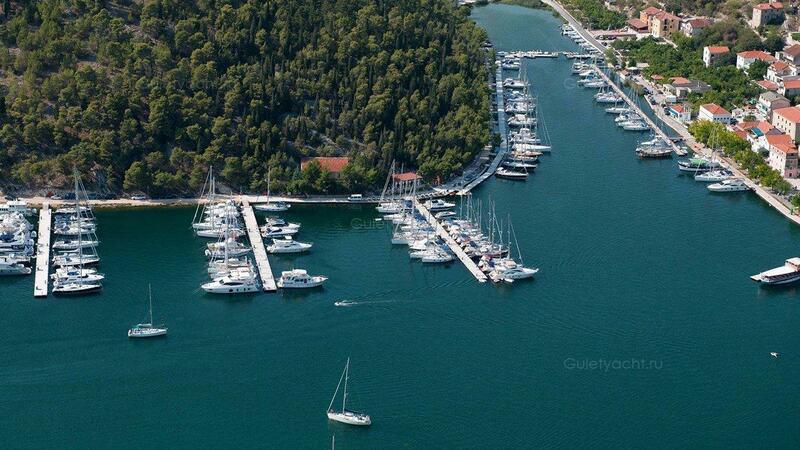 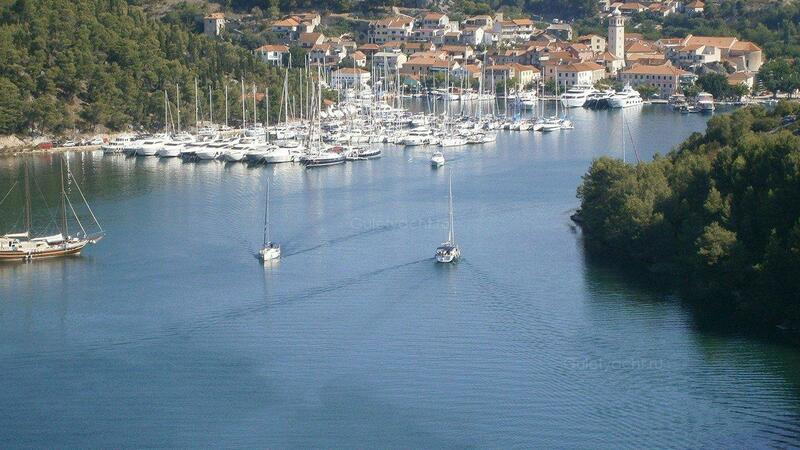 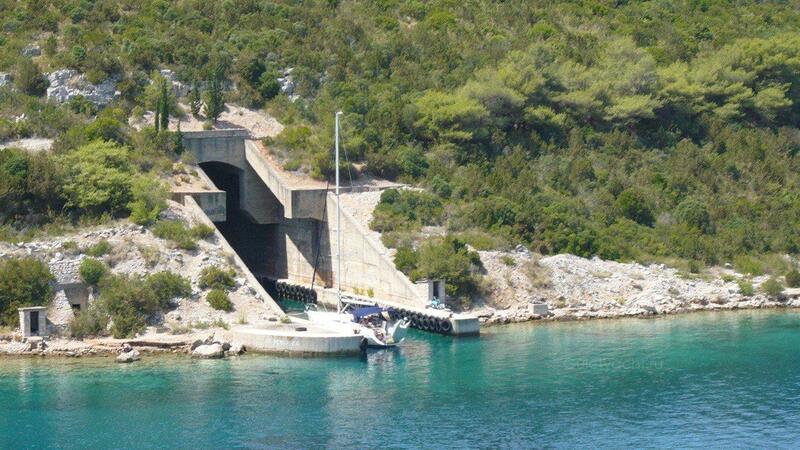 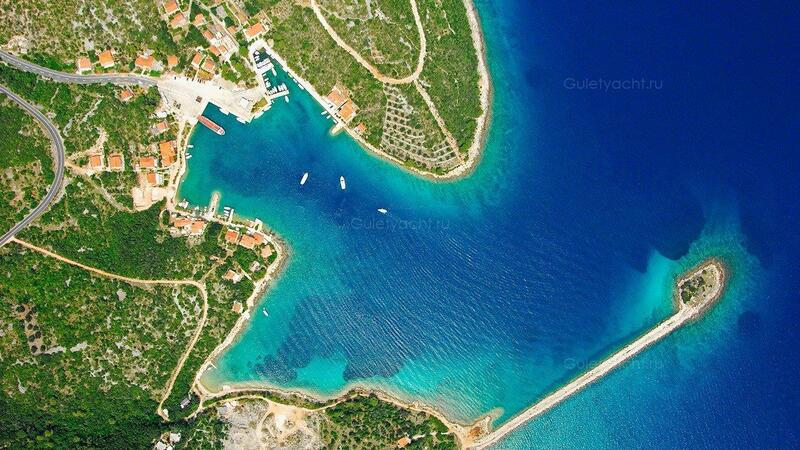 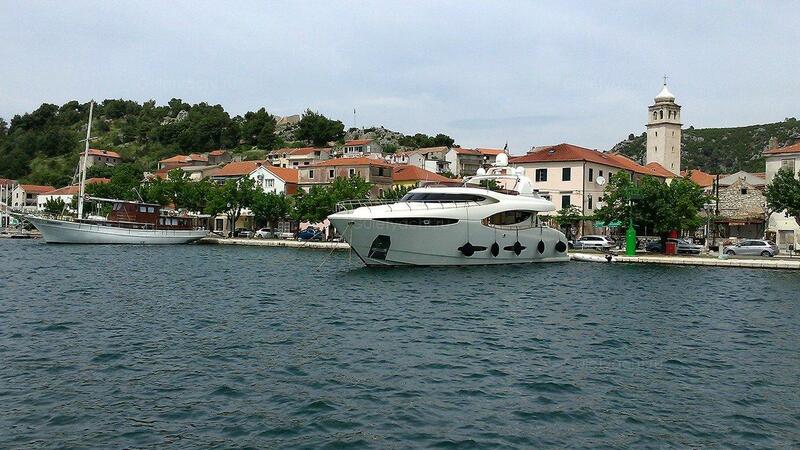 There is a marina on Zlarin, a small island with a sheltered bay, and no cars. 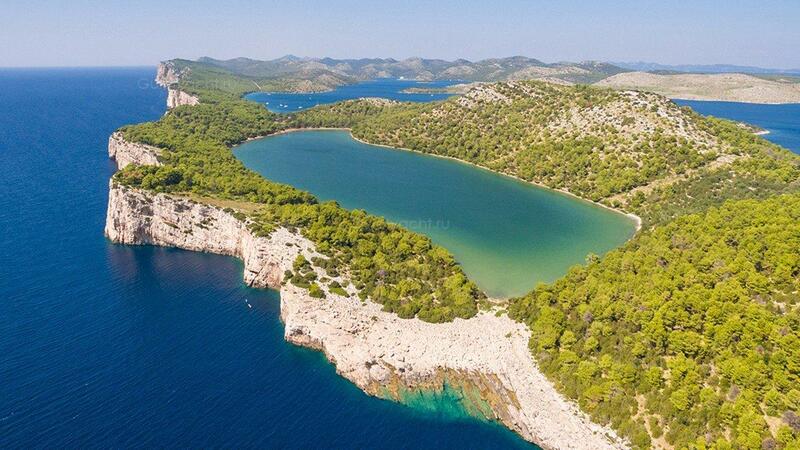 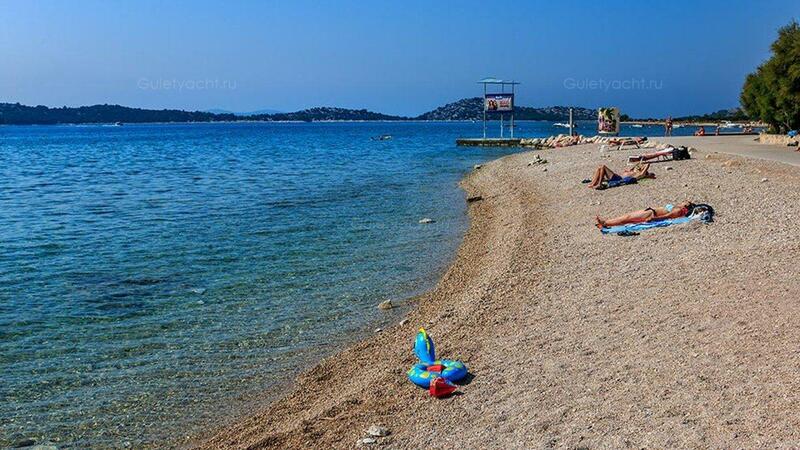 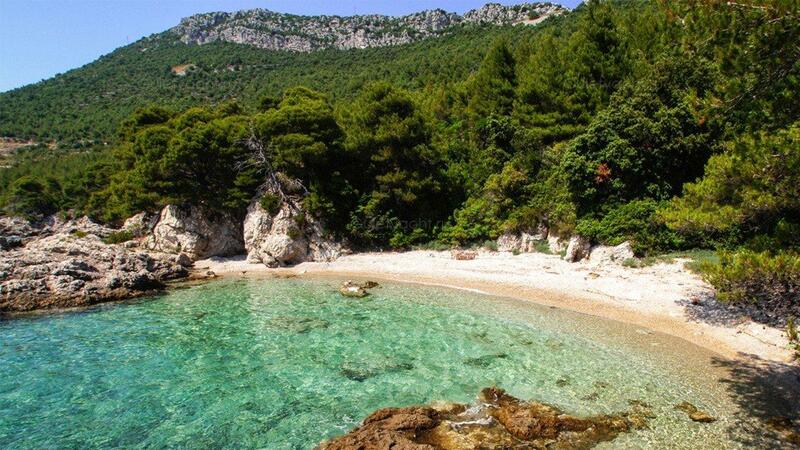 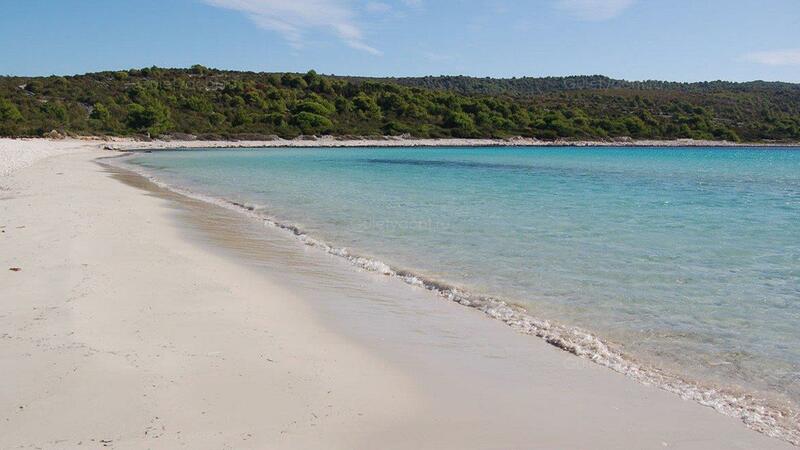 It is worth exploring but as an alternative go to Tijat, an uninhabited island north west of Zlarin where you will find real tranquility. 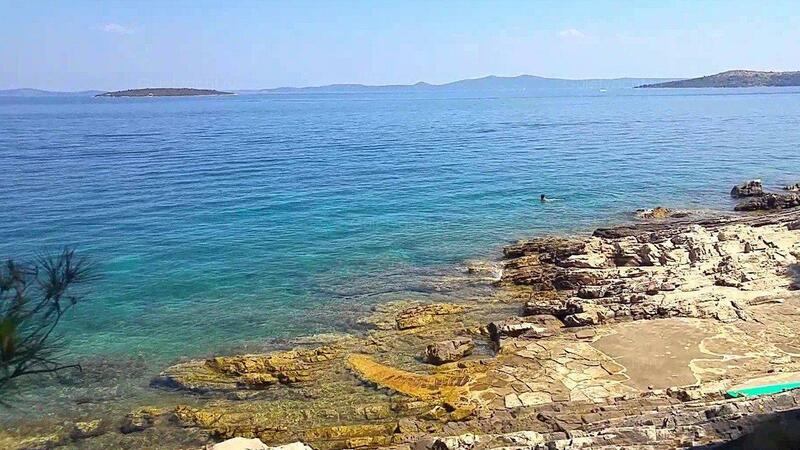 Вид на крепость Святого Николая XVI века и архипелаг Шибеник, когда вы плывете через канал Святого Антония, действительно незабываемы. 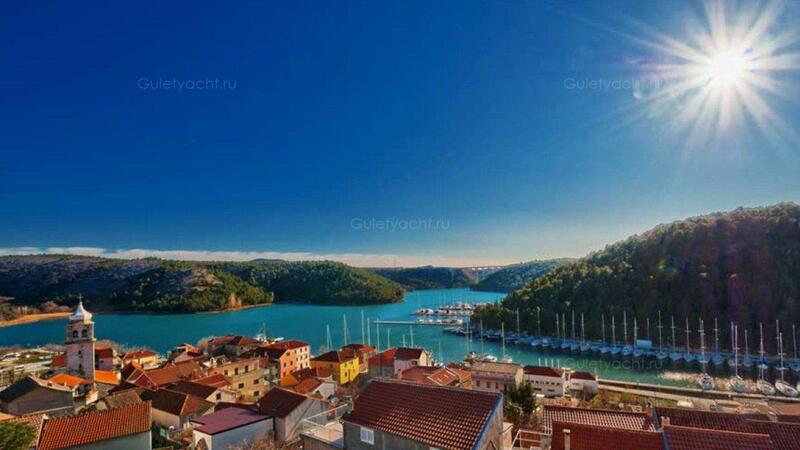 Существует пристань для яхт на Зларине, небольшой остров с закрытой бухтой и без автомобилей. 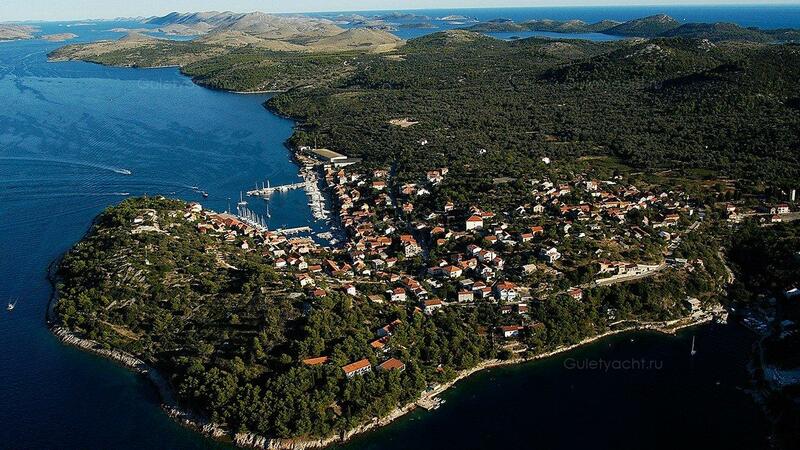 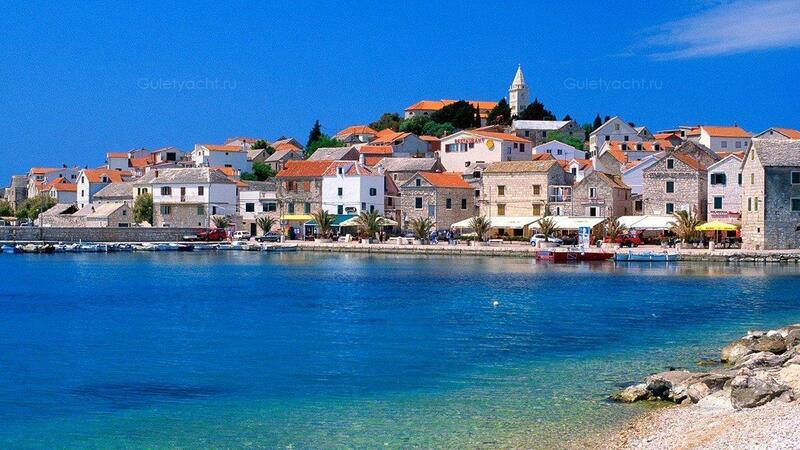 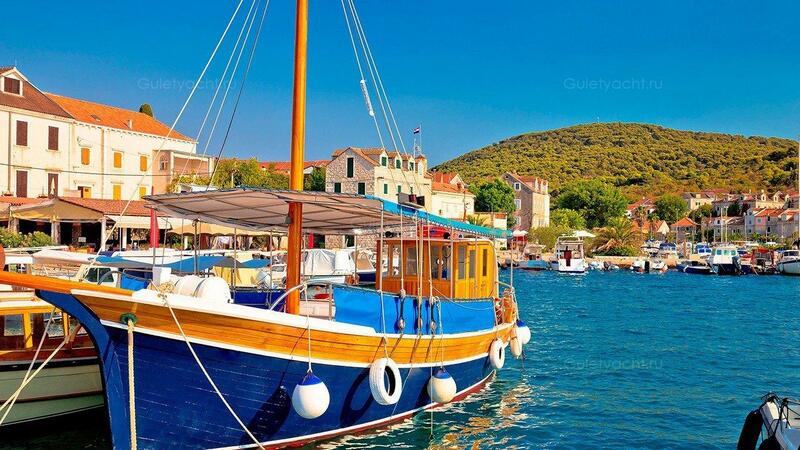 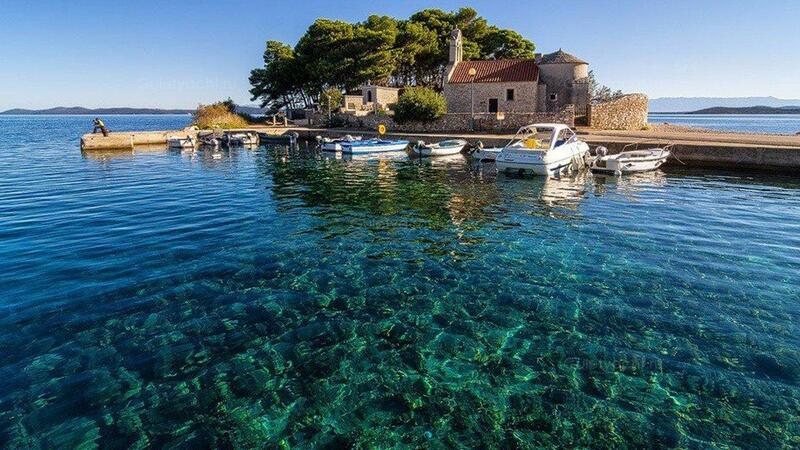 Primosten is a lovely town at the extreme south of the Kornati Islands. 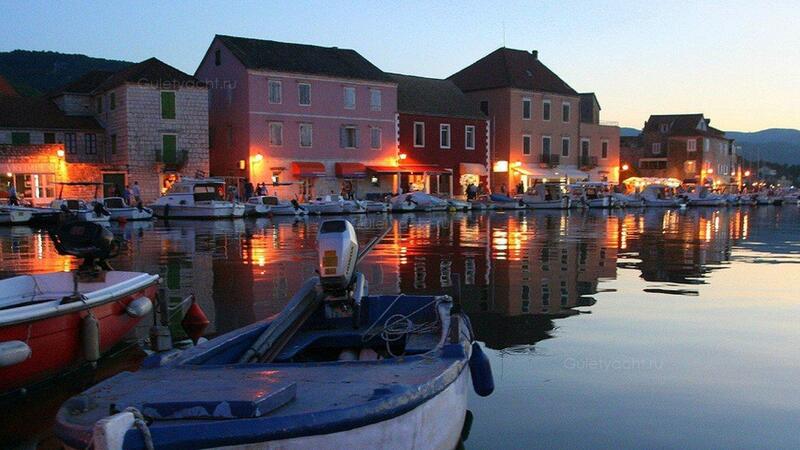 This small town is built on reclaimed land. 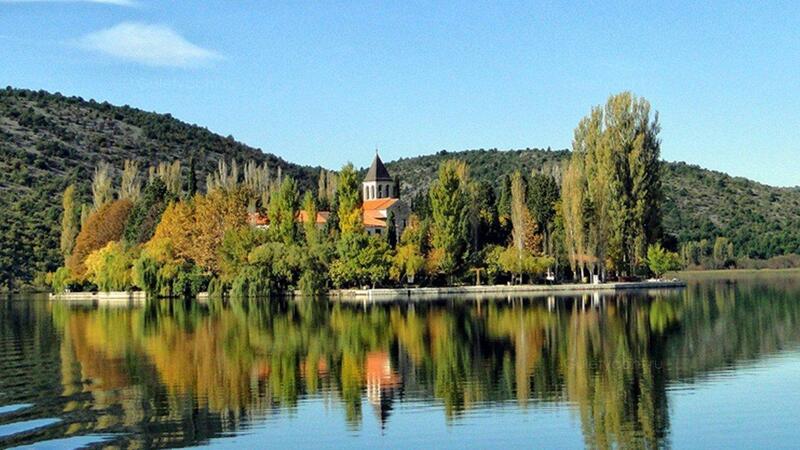 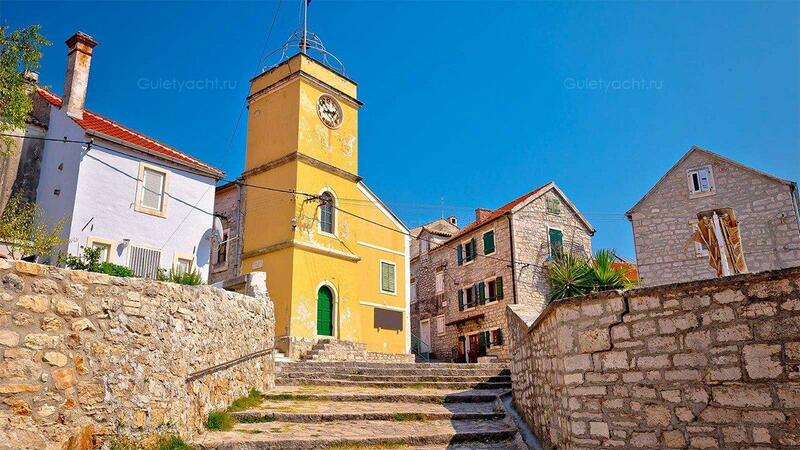 It’s famous for its indigenous stone houses, churches, narrow streets as well as the production of olive oil and wine. 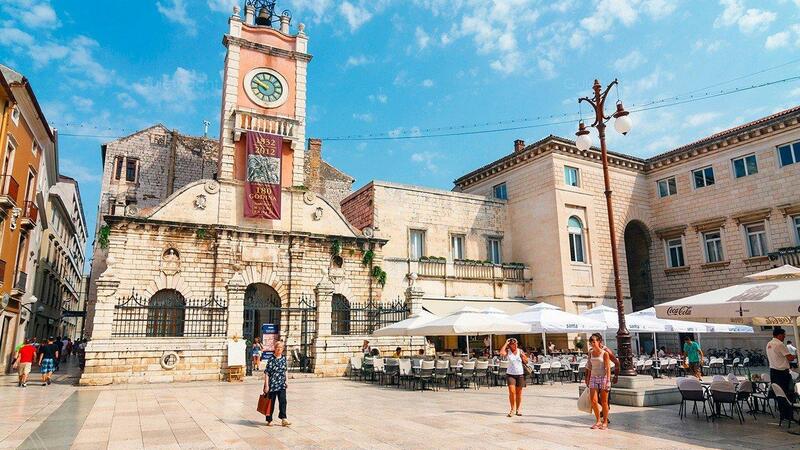 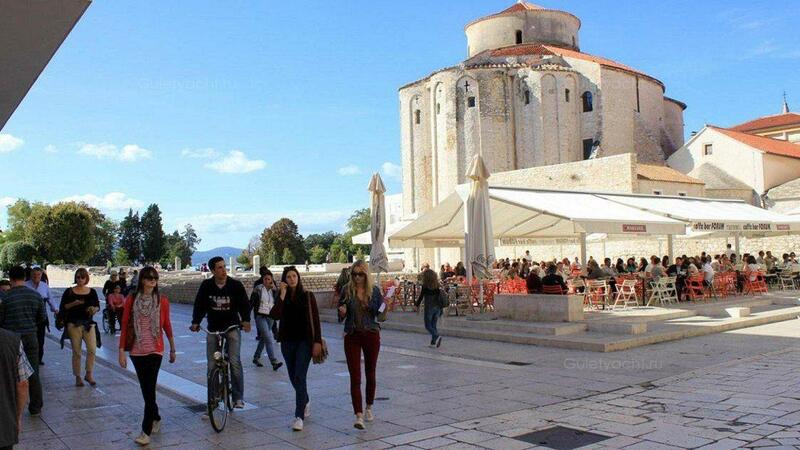 Sibenik itself is famous for the St. James Cathedral which has UNESCO World Heritage status. 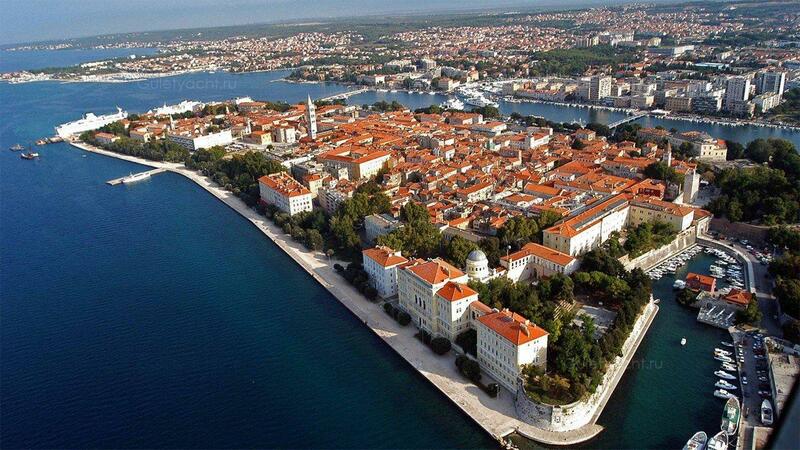 It was begun in 1431 but took just over a century before it was finally completed. 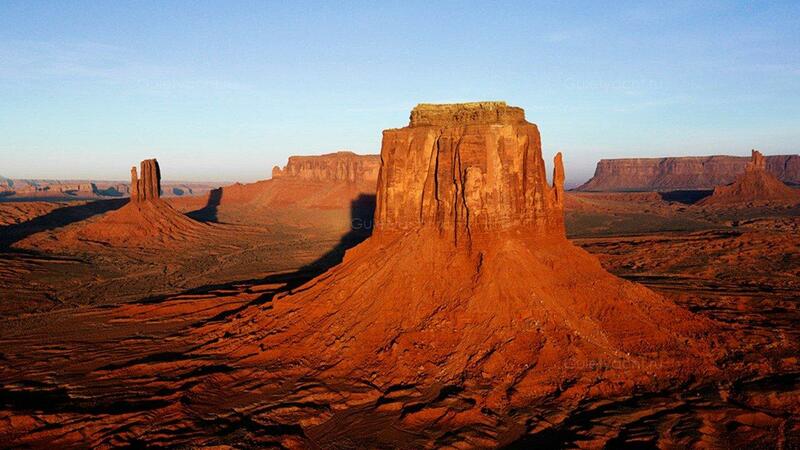 Its first mention in history was in the 11th Century when it was the seat of the King. 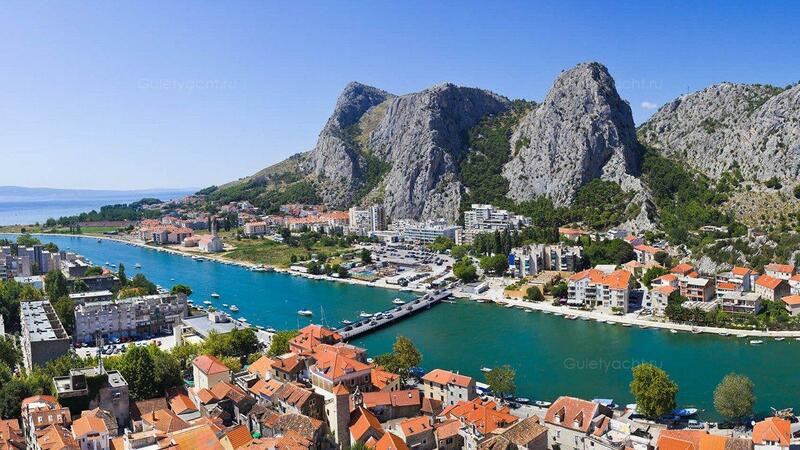 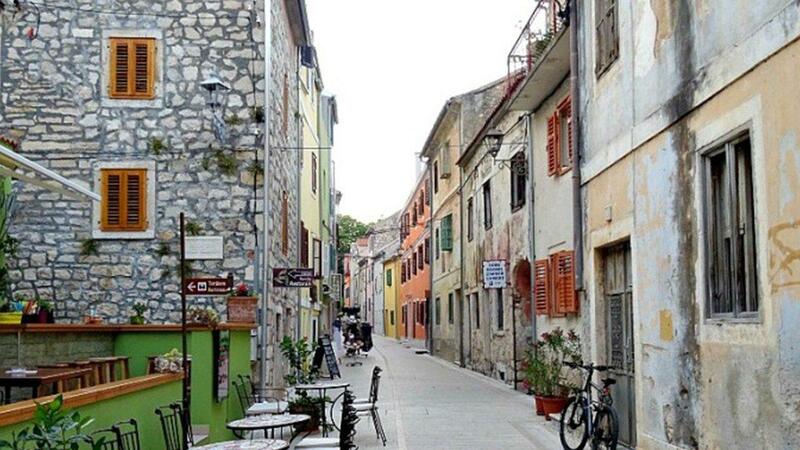 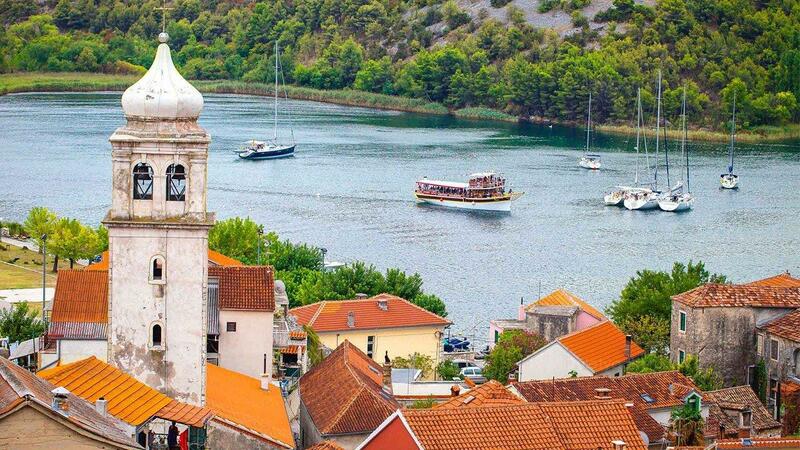 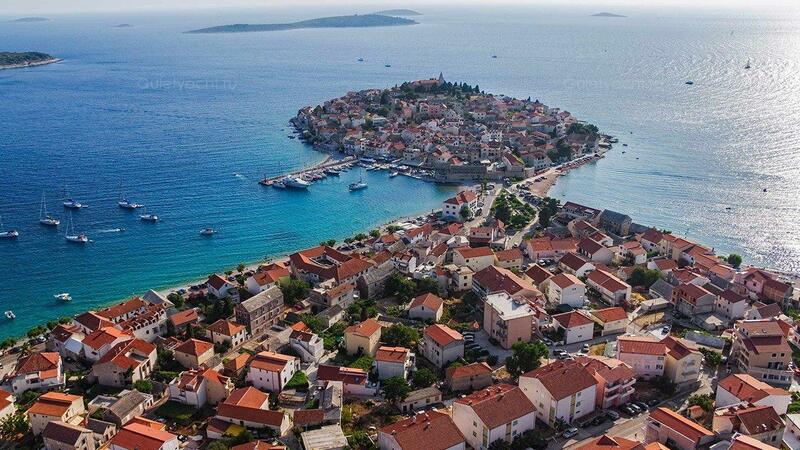 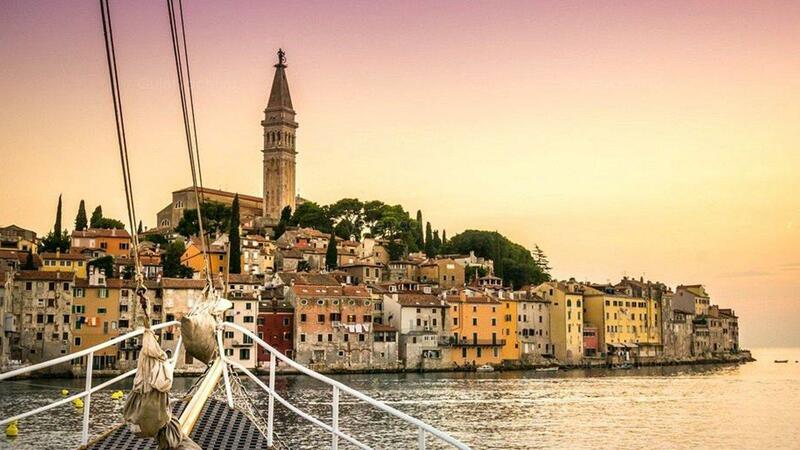 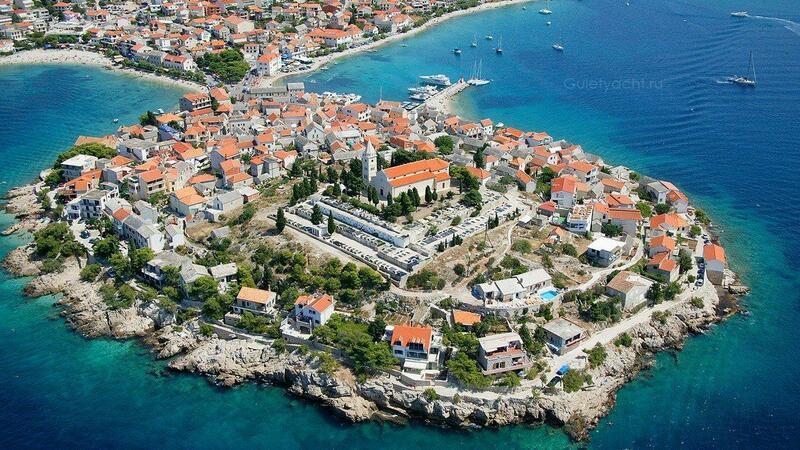 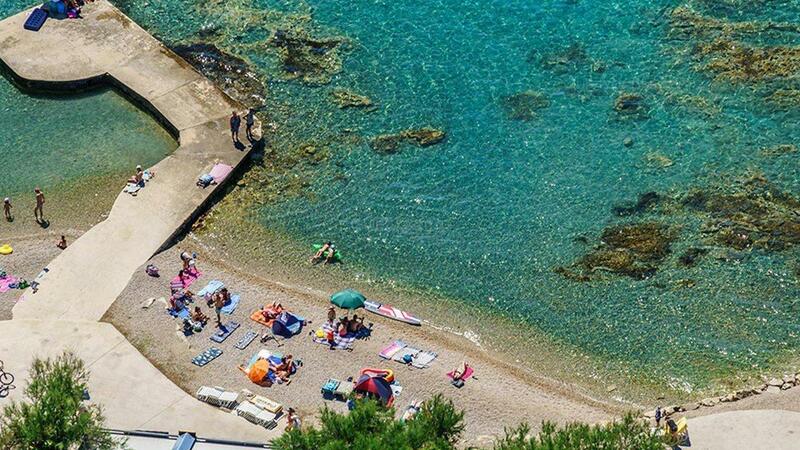 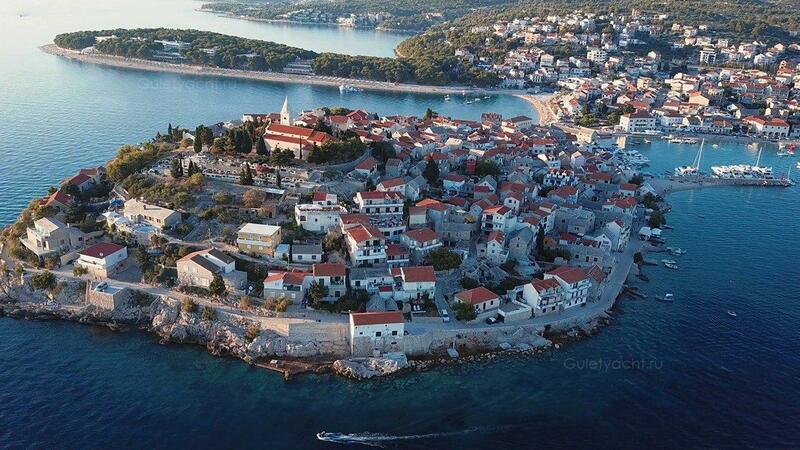 It is the oldest town on the eastern coast of the Adriatic. 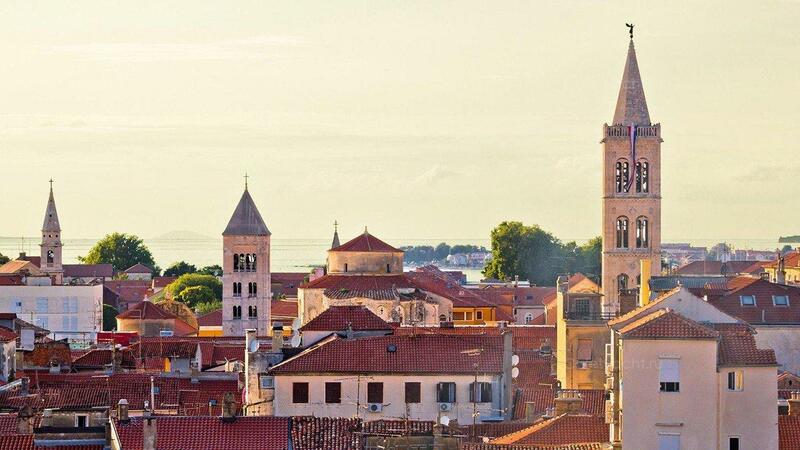 The Venetians spent three centuries here and they have left their mark in churches and palaces. 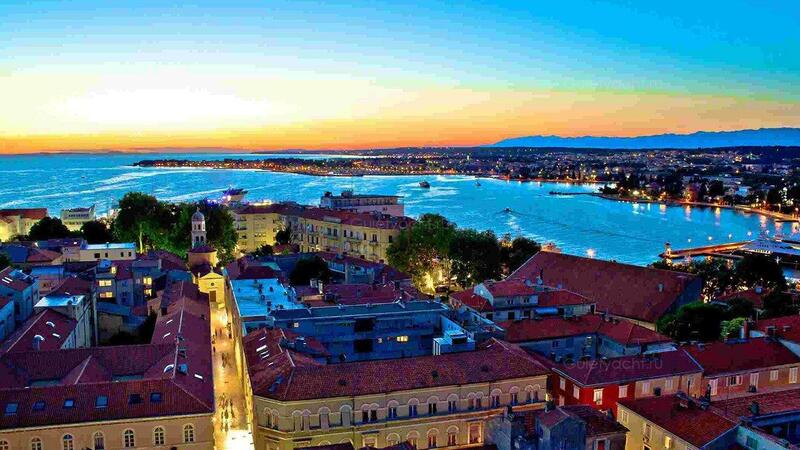 In addition, it was situated at the boundary between Christianity and Islam with the Ottomans seeking a move further north. 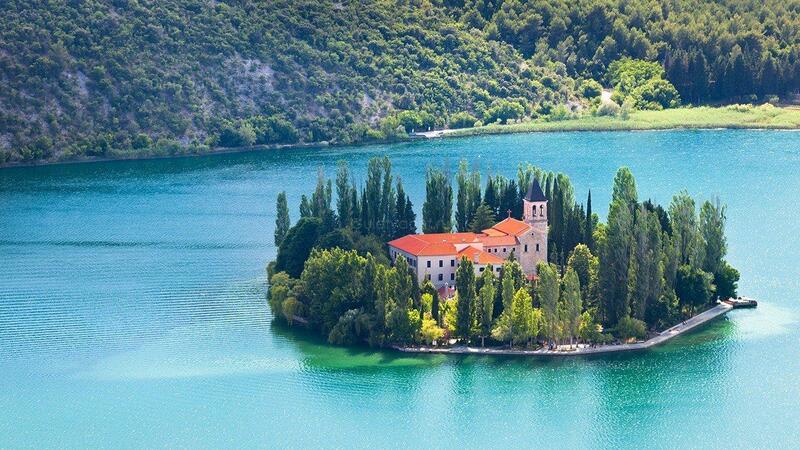 As a direct result there are four impressive fortresses to see St. Michael, St. John, Šubićaevac and St. Nicholas which were built as a defence. 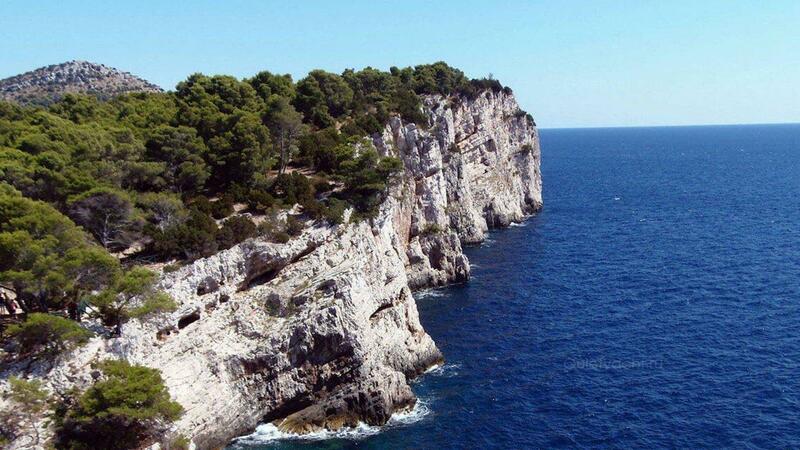 Сам Шибеник известен собором Святого Джеймса, который имеет статус Всемирного наследия ЮНЕСКО. 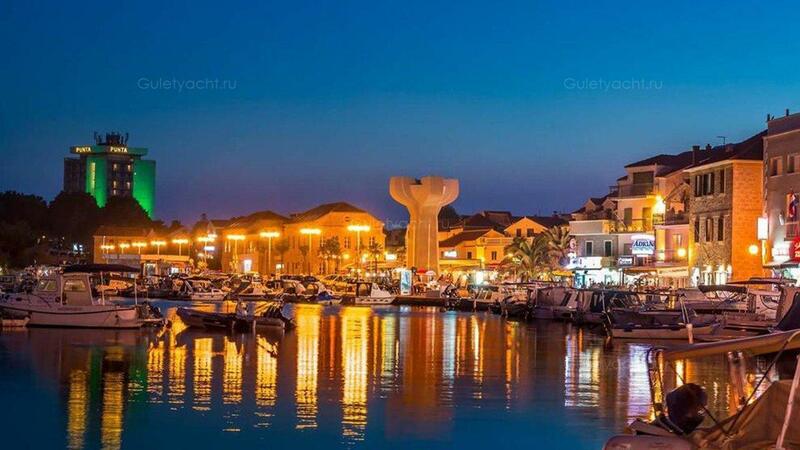 Это было начато в 1431 году, но прошло чуть больше века, прежде чем оно было окончательно завершено. 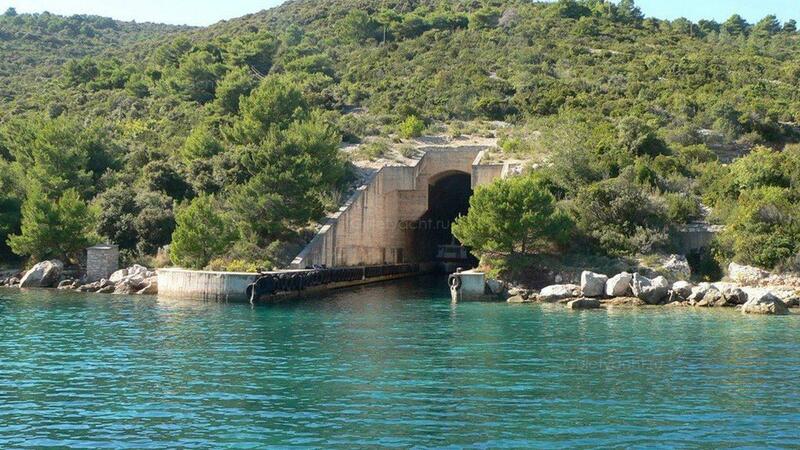 Его первое упоминание в истории было в 11 веке, когда он был резиденцией короля. 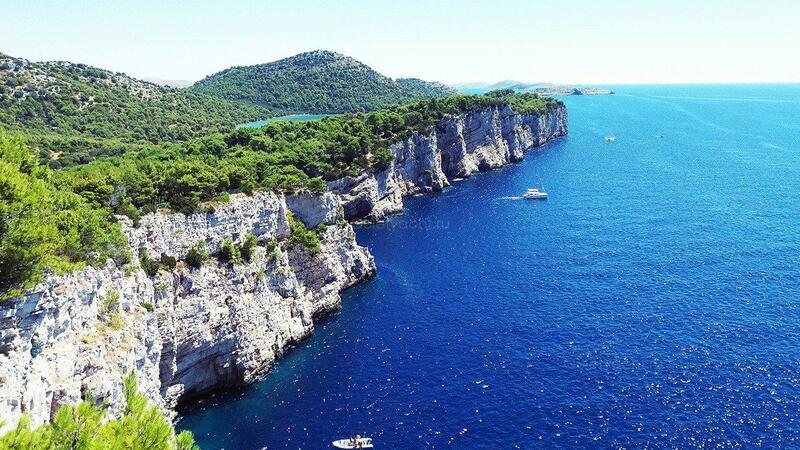 Это самый старый город на восточном побережье Адриатики. 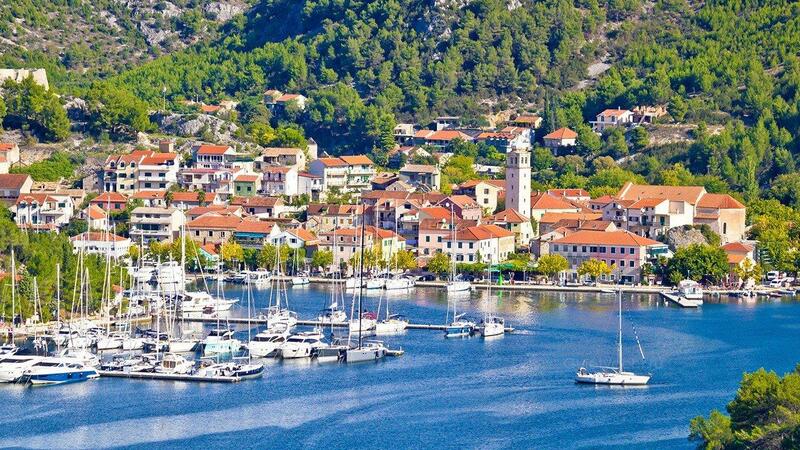 Венецианцы провели здесь три столетия, и они оставили свой след в церквях и дворцах. 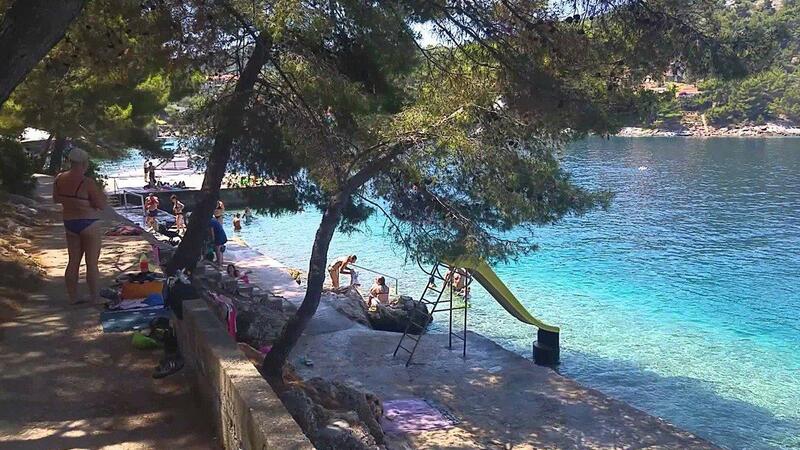 Кроме того, он находился на границе между христианством и исламом, а османы искали движение дальше на север. 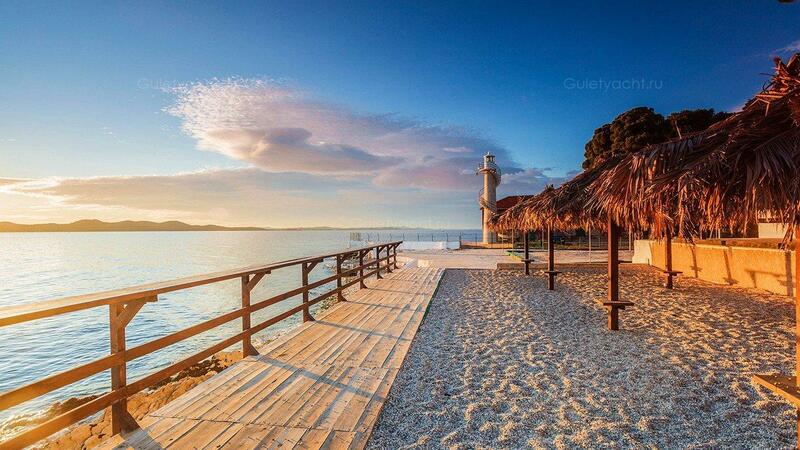 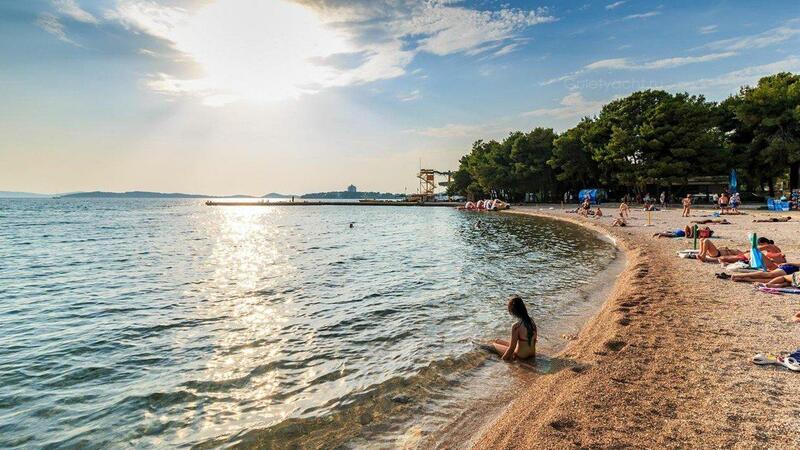 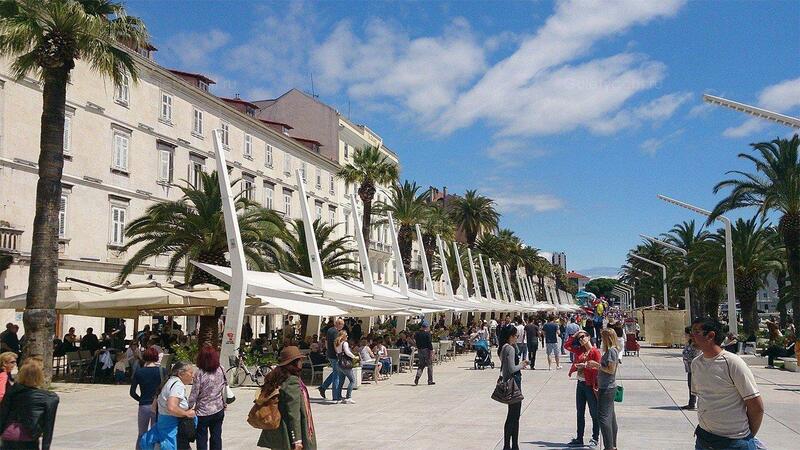 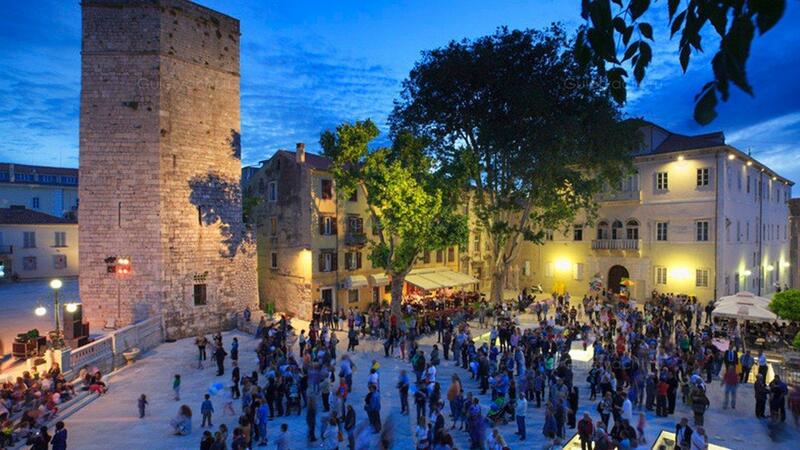 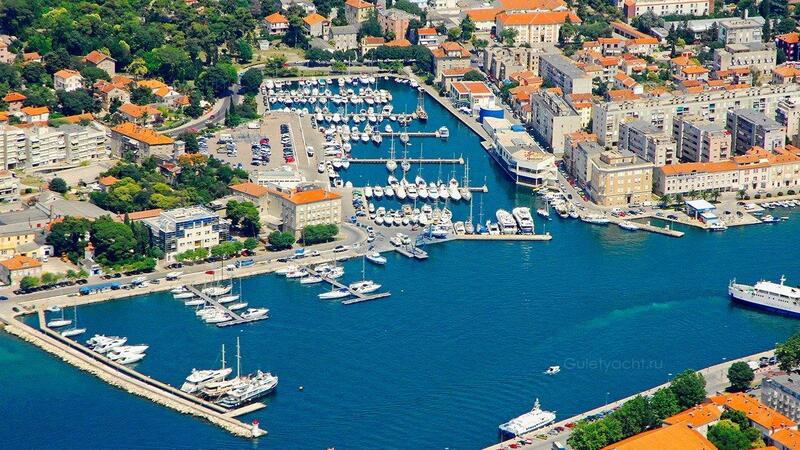 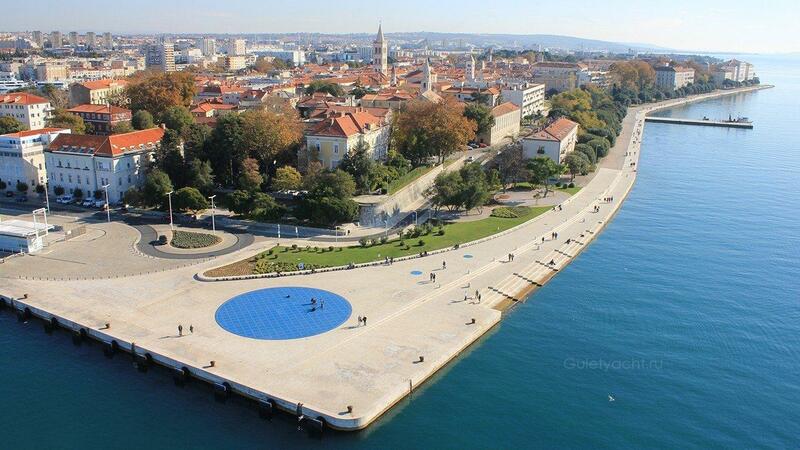 Zadar is considered by many to be one of the most beautiful Dalmatian cities. 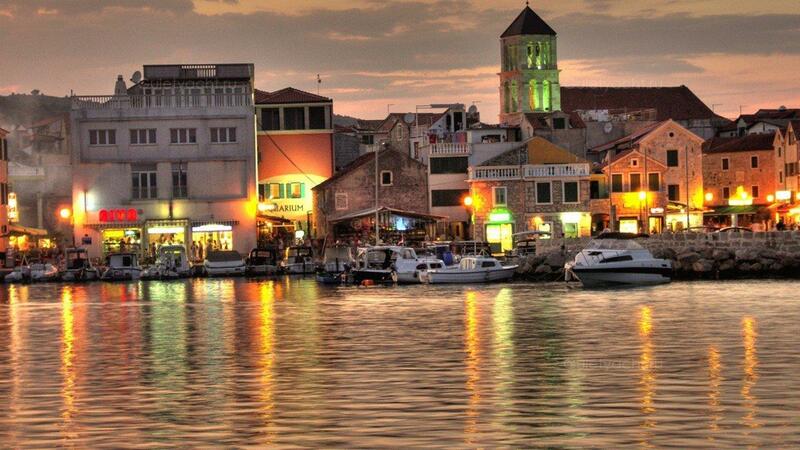 It is a city of tourism, and it is famous for its extraordinary history and rich cultural heritage. 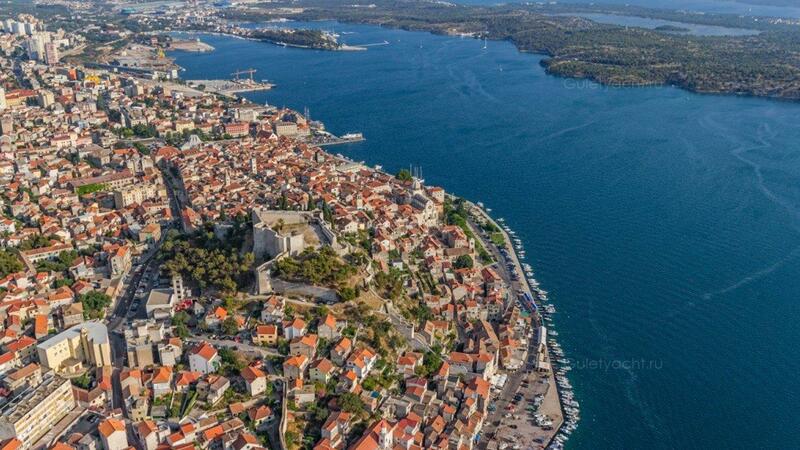 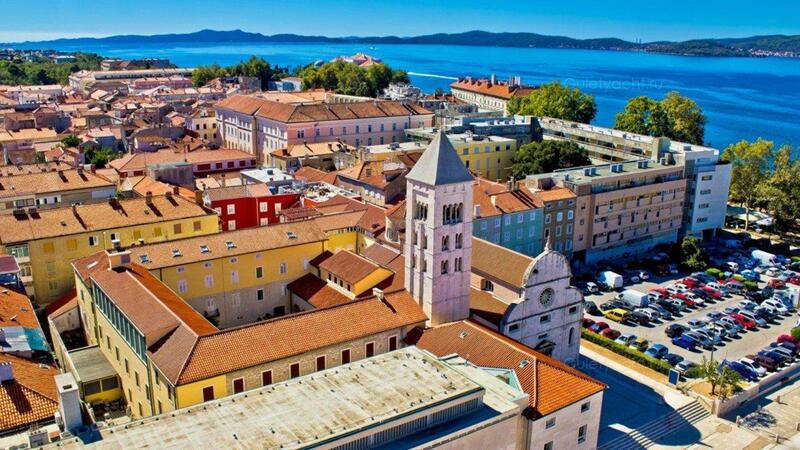 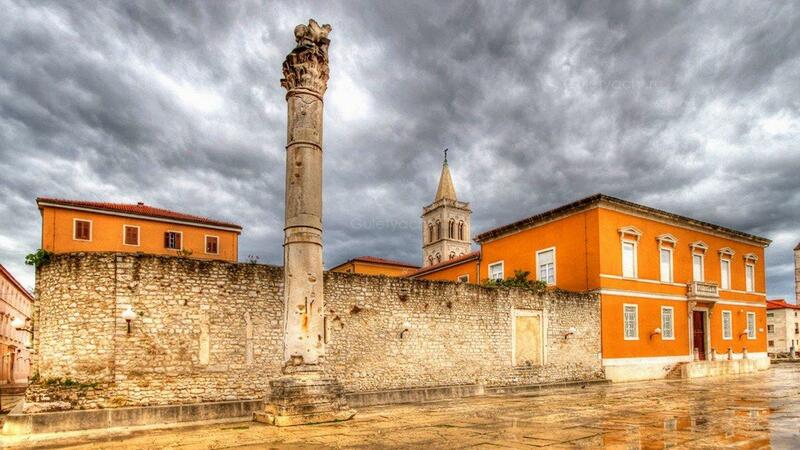 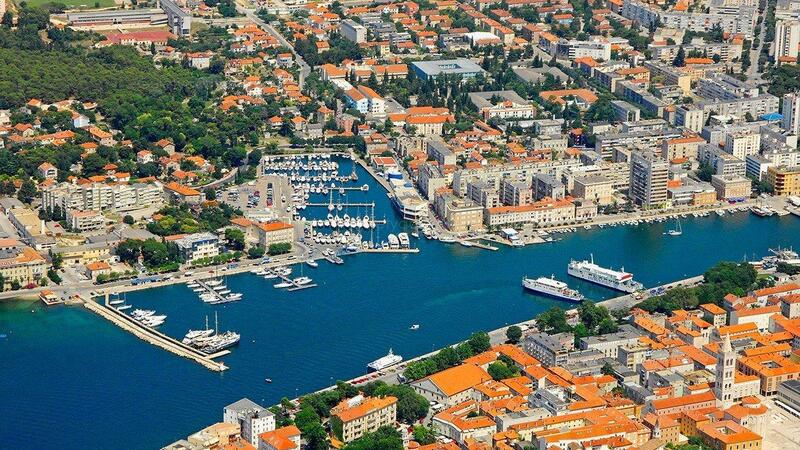 Zadar is a city monument, surrounded by historical ramparts. 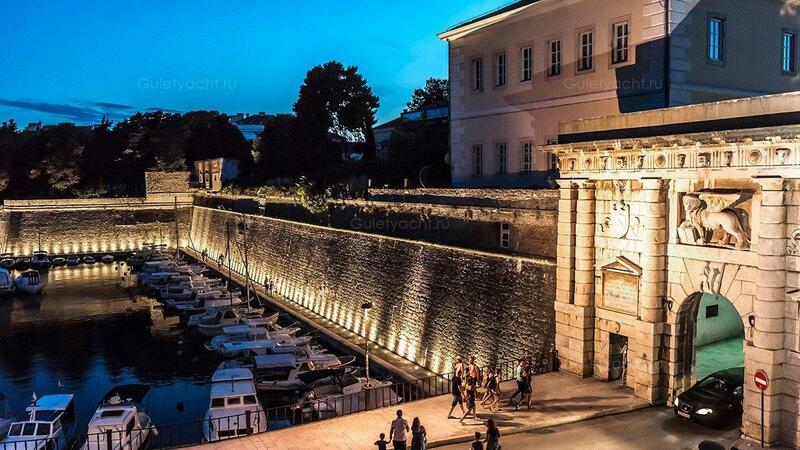 These ramparts are a real treasury of the archaeological and monumental riches of ancient and medieval times, Renaissance and many contemporary architectural achievements such as the famous Sea Organ, the first of its kind in the world. 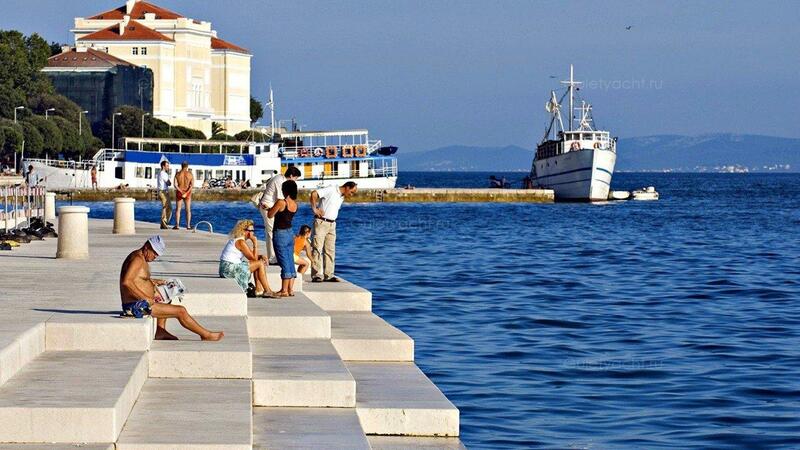 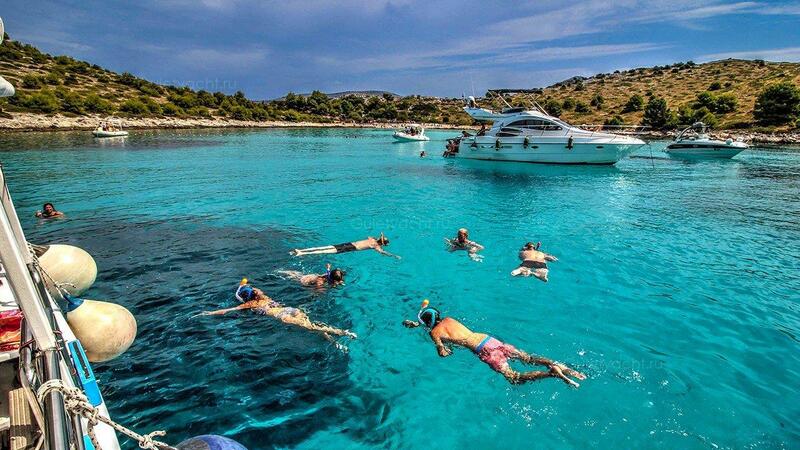 If you sailed out of Zadar without getting a chance to explore it, you must surely make time to do so after the end of your yacht charter.